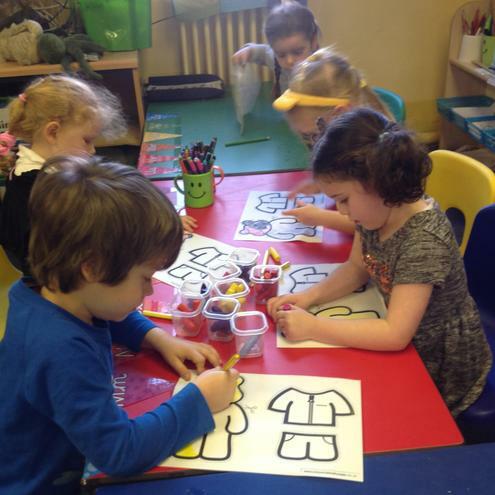 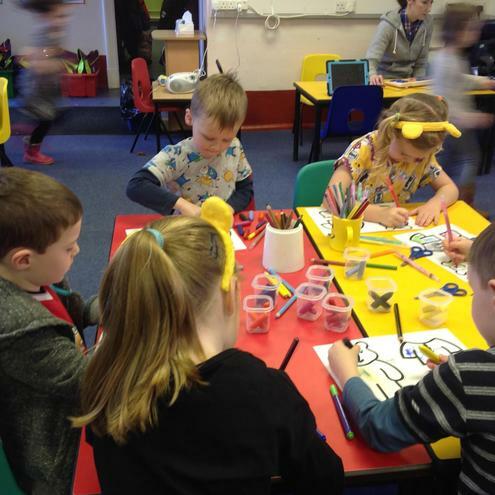 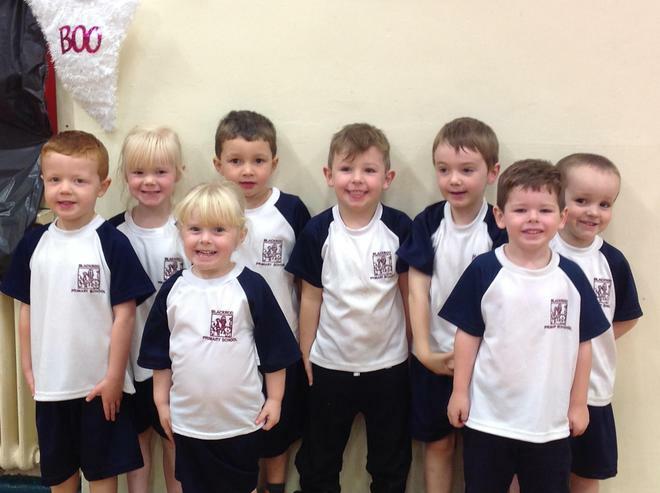 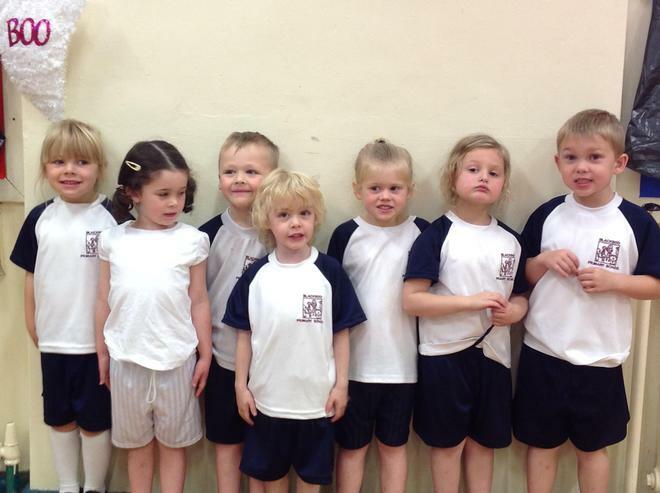 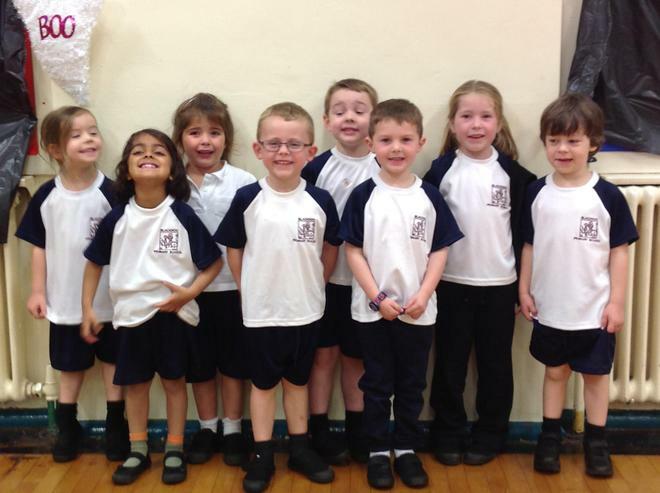 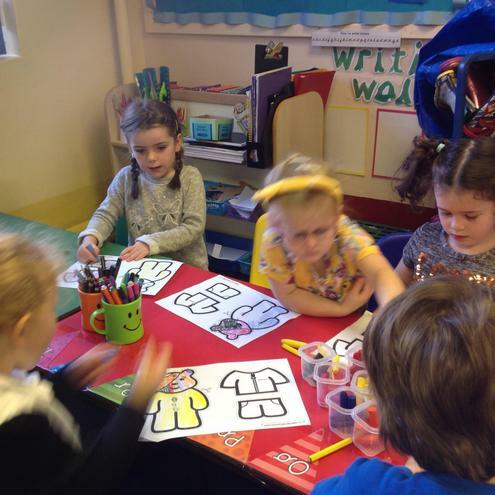 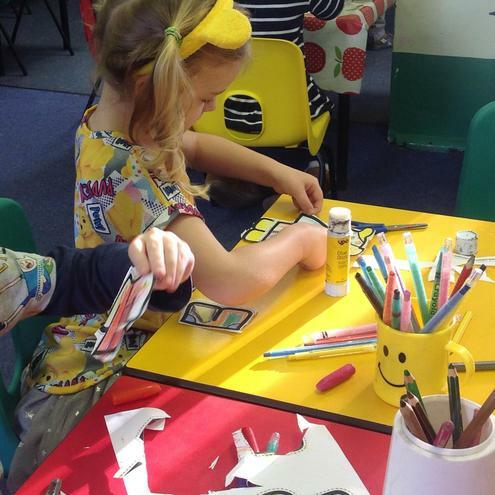 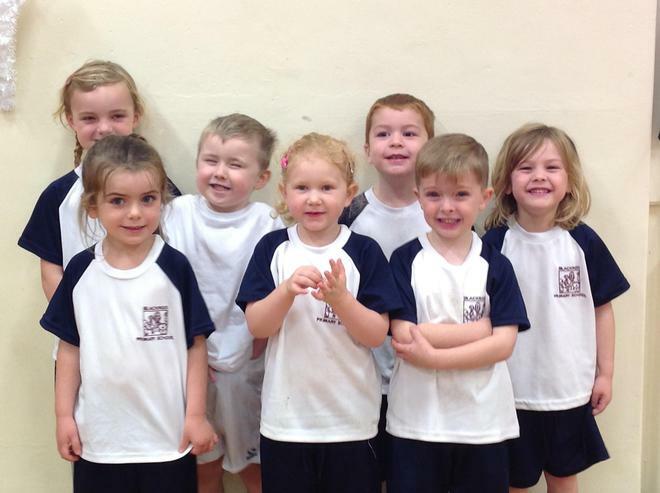 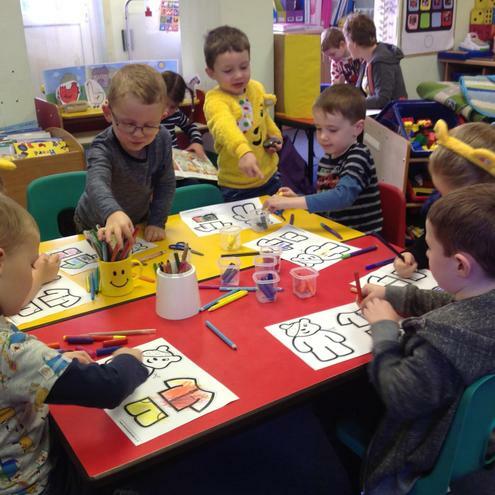 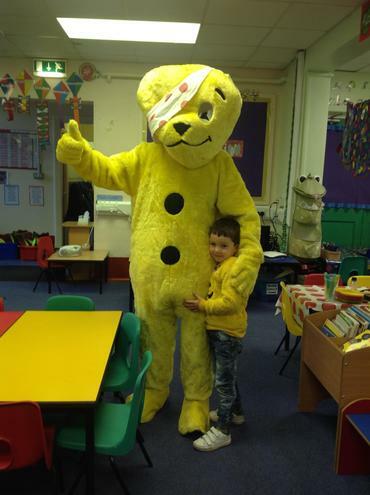 We had a non uniform day to raise money for the charity Children In Need. 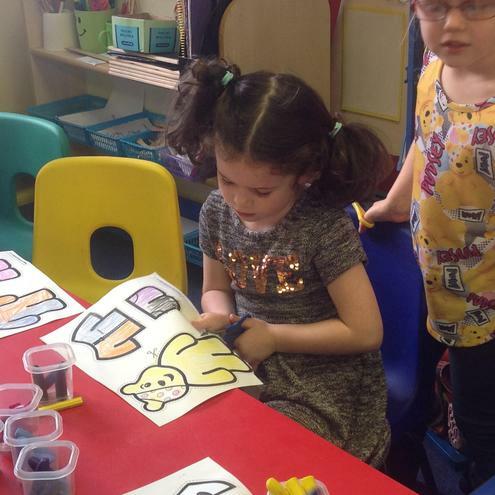 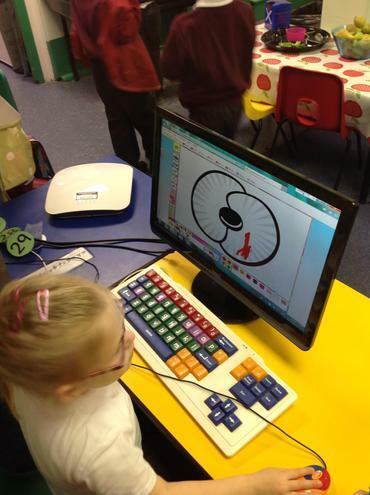 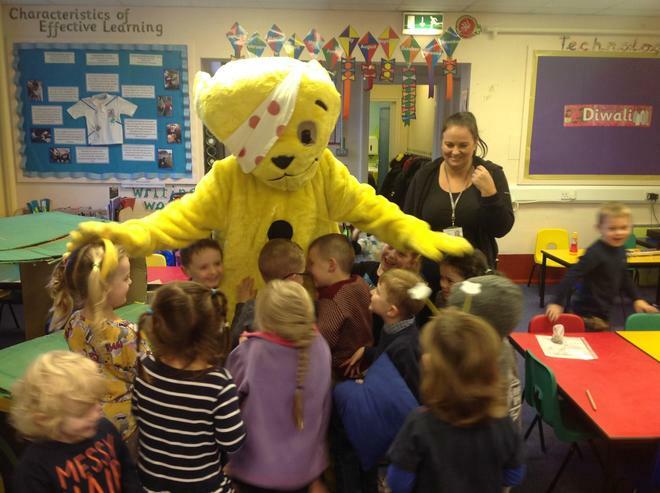 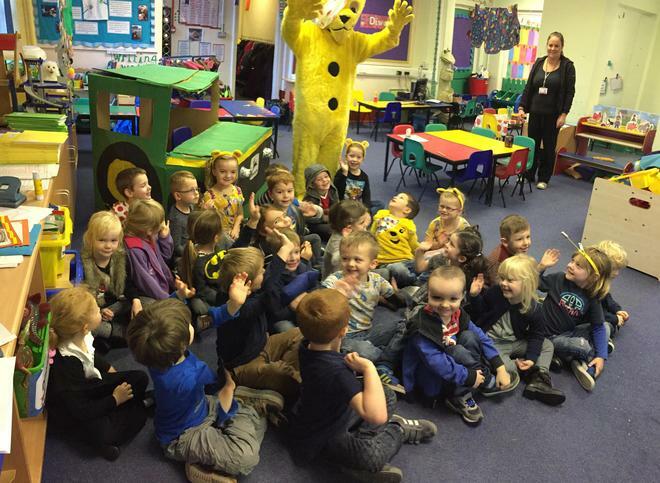 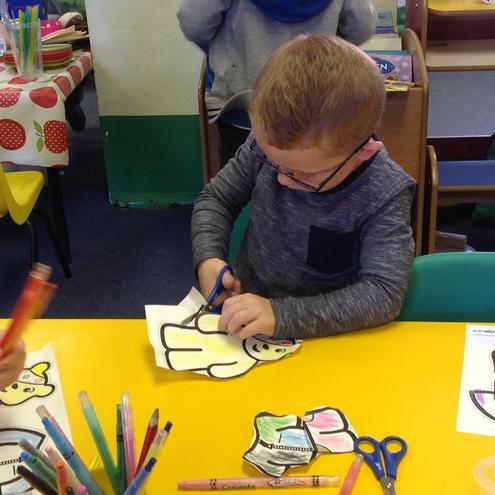 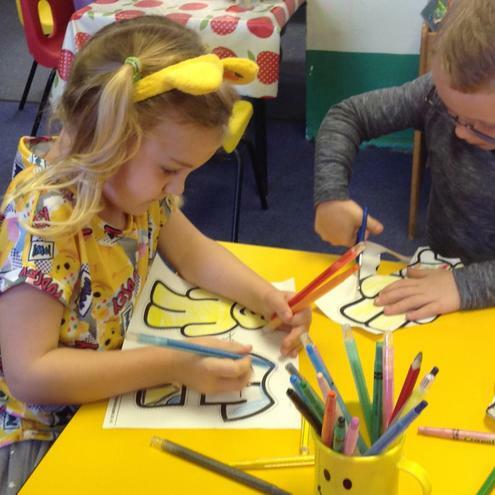 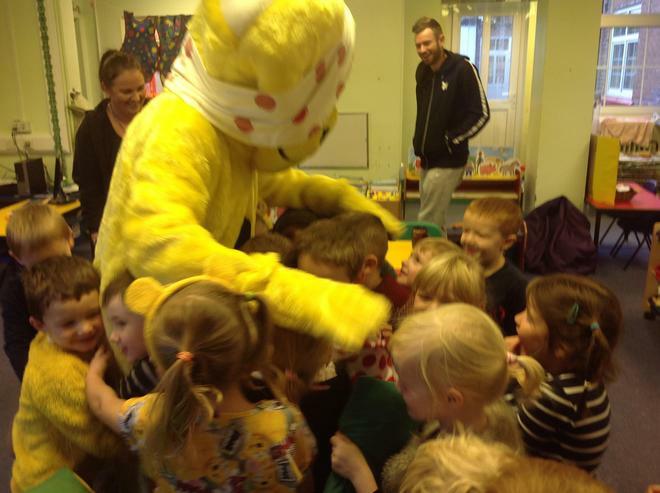 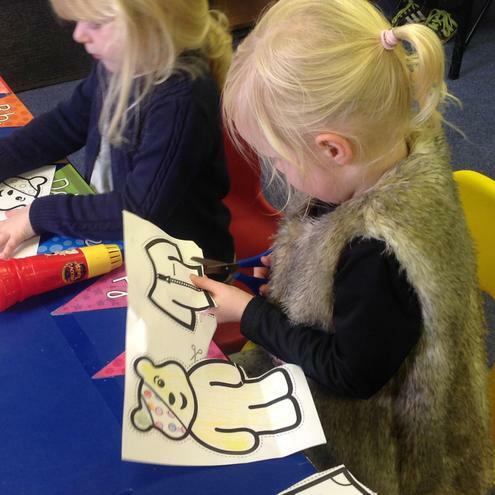 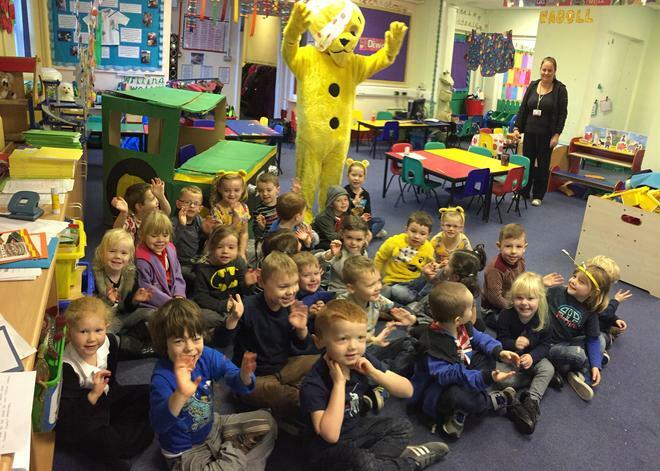 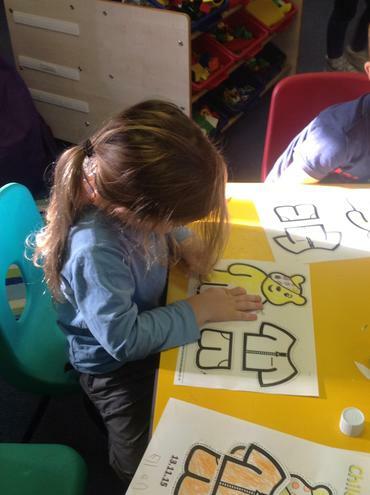 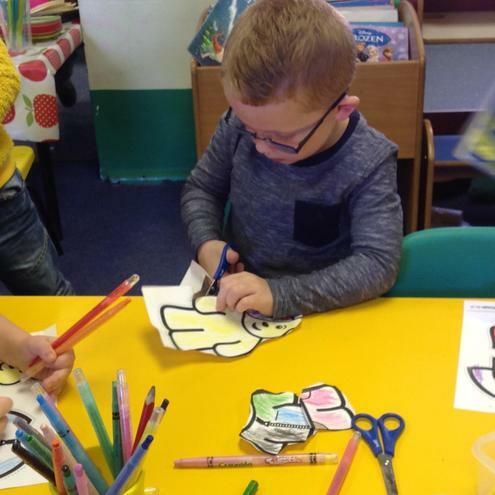 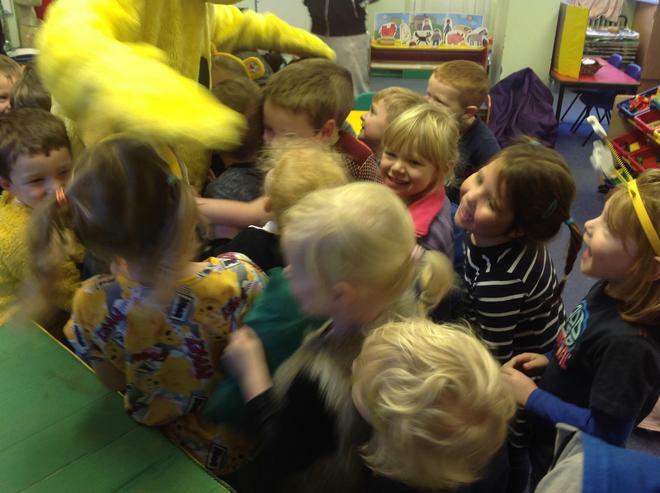 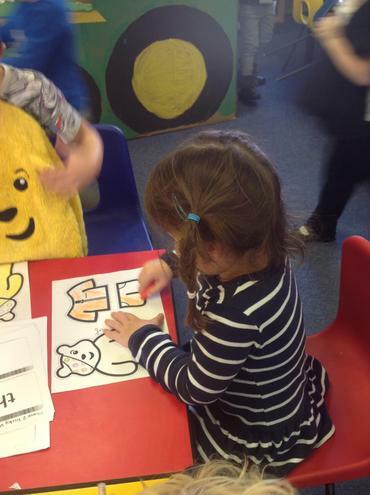 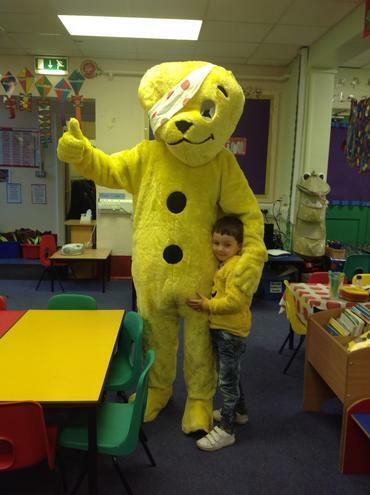 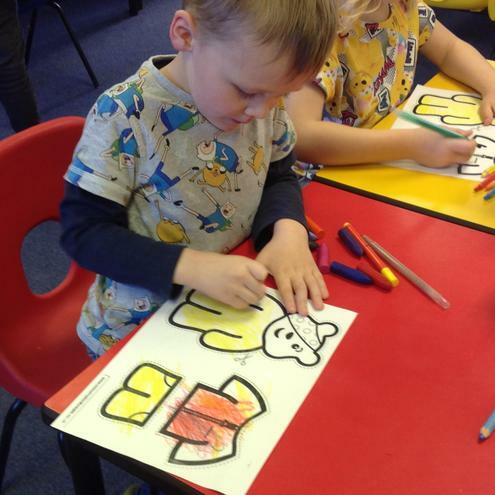 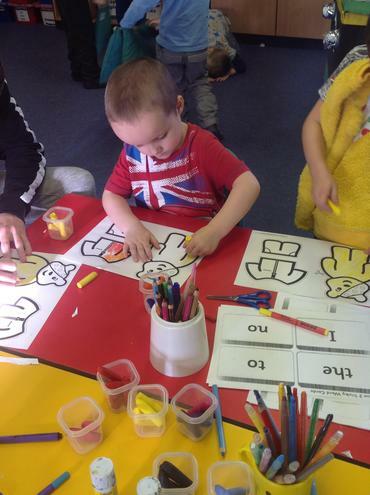 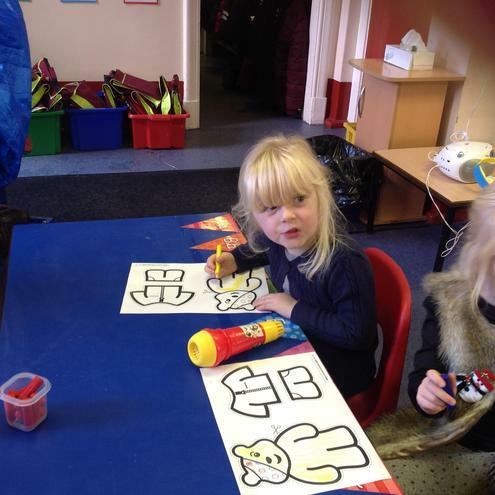 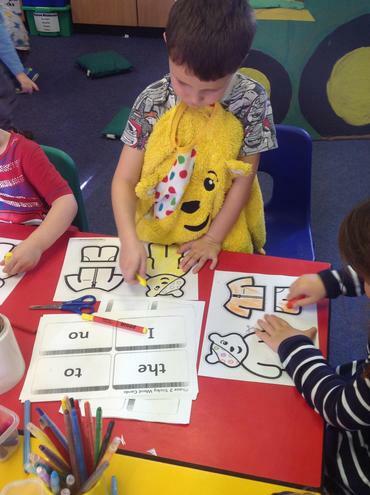 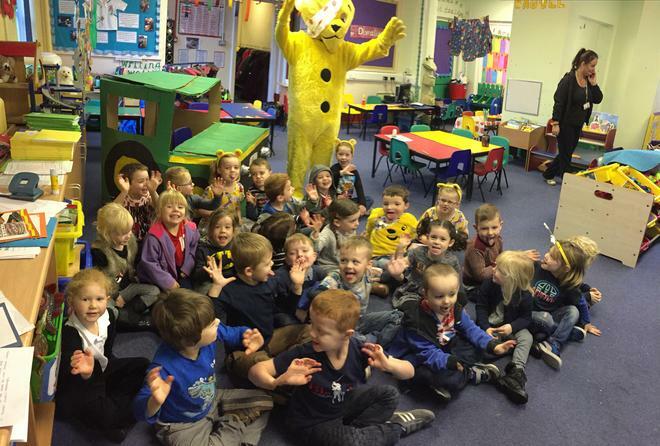 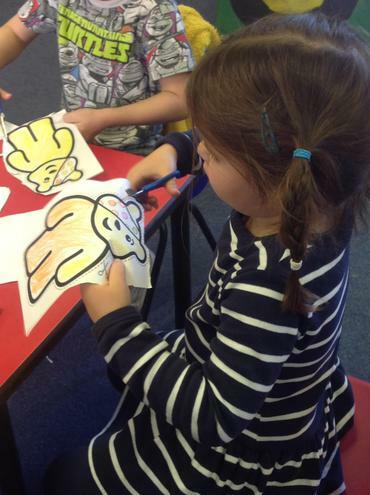 Pudsey Bear came to visit us in class. 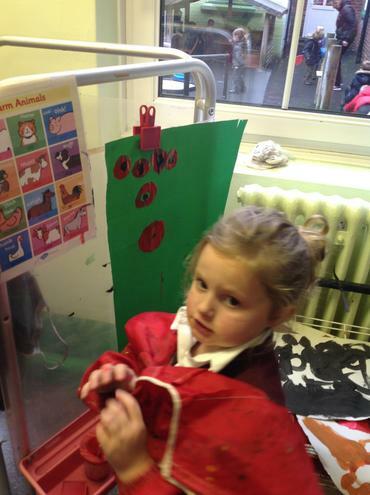 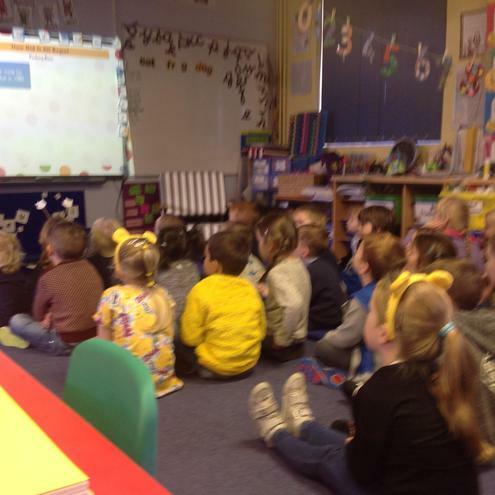 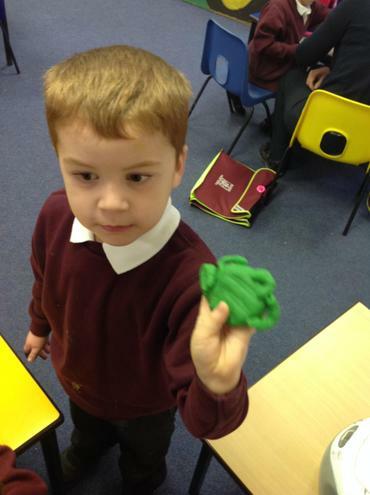 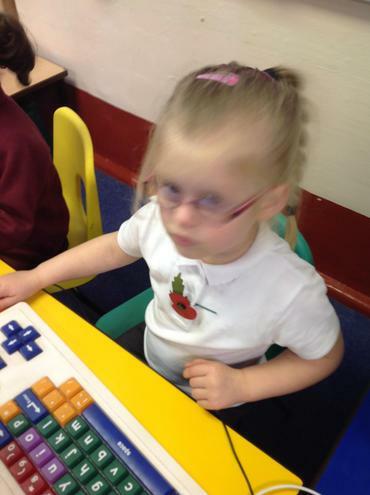 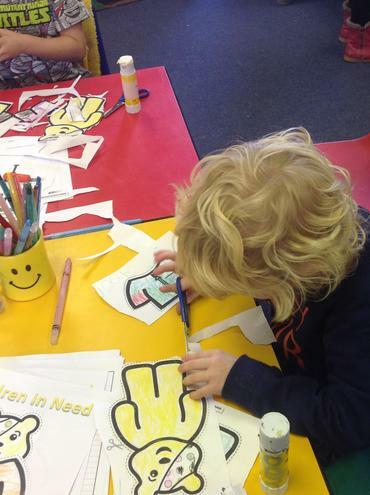 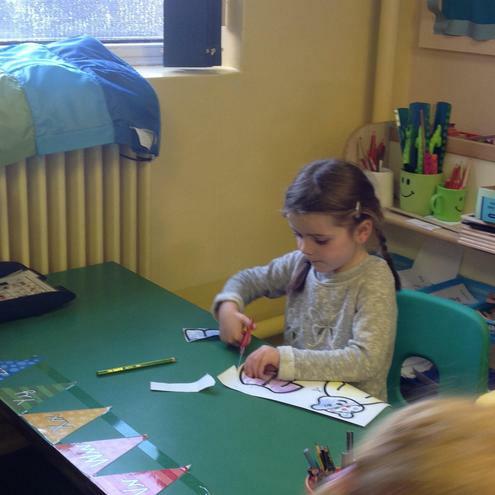 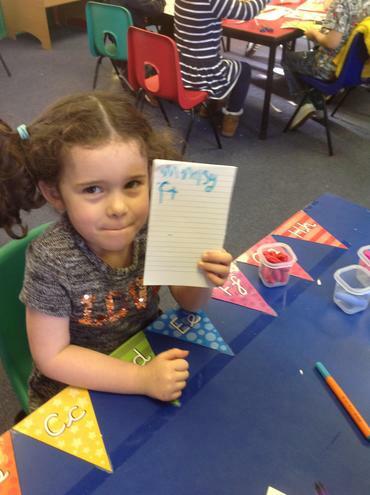 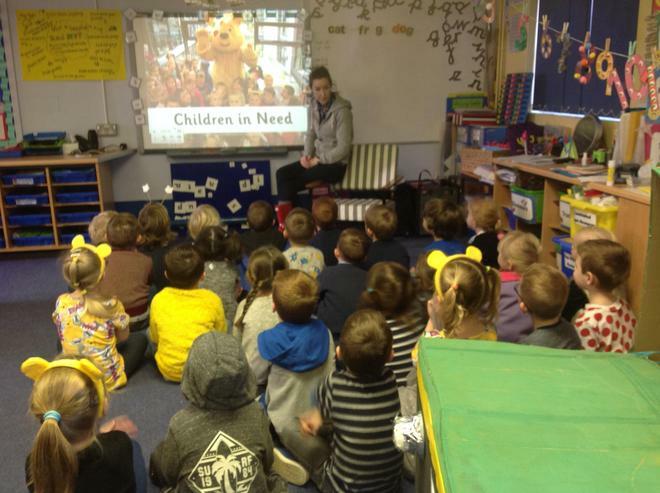 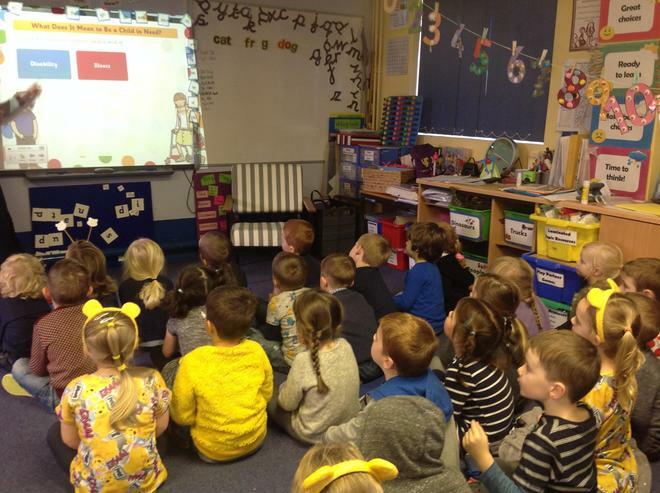 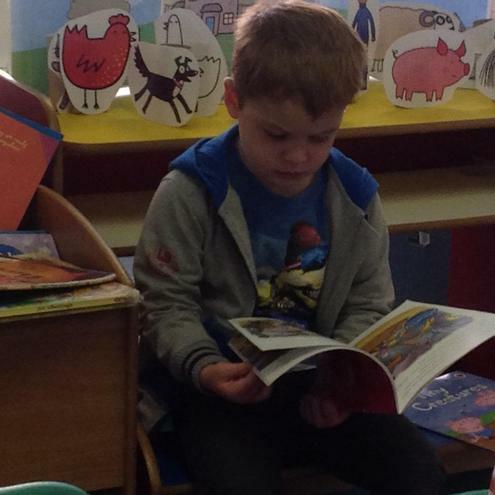 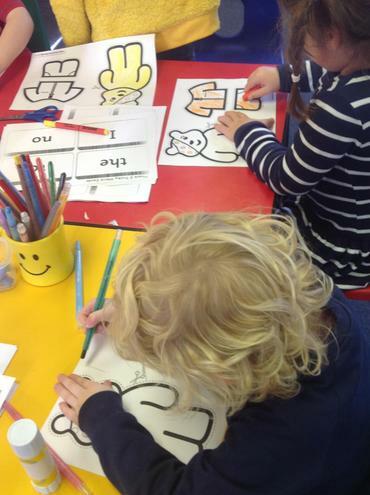 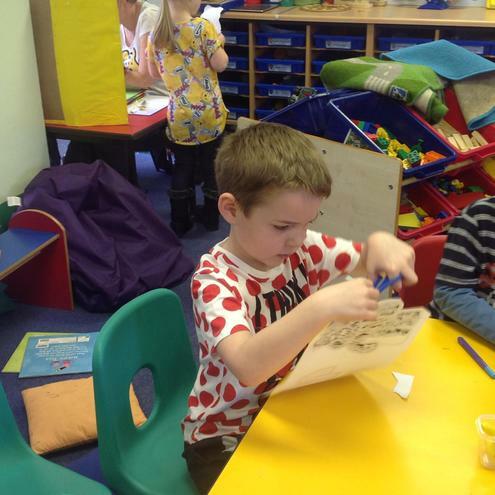 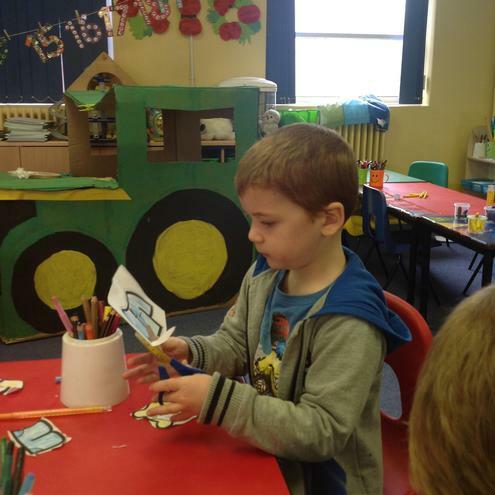 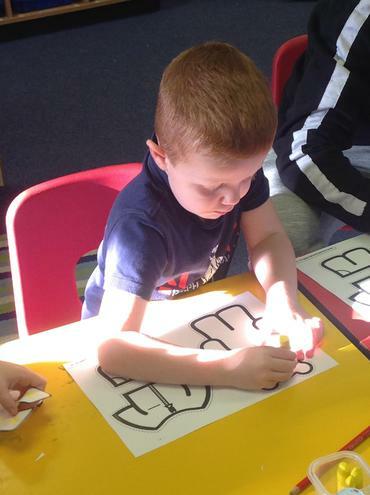 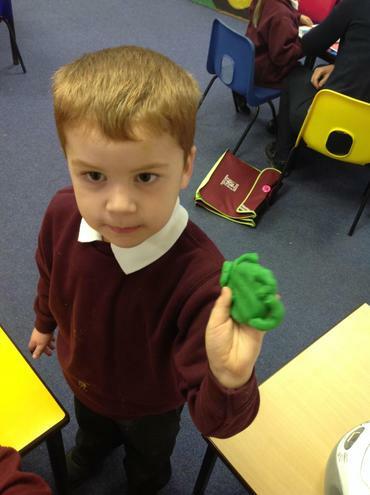 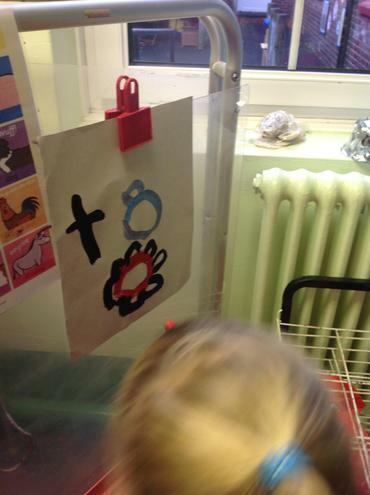 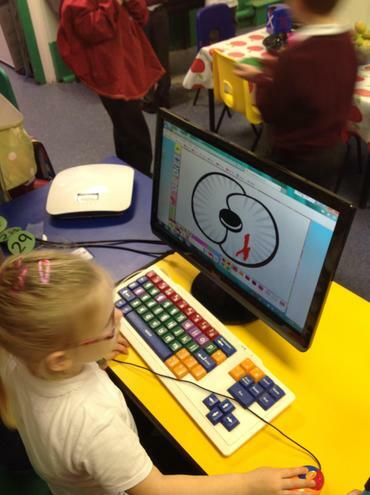 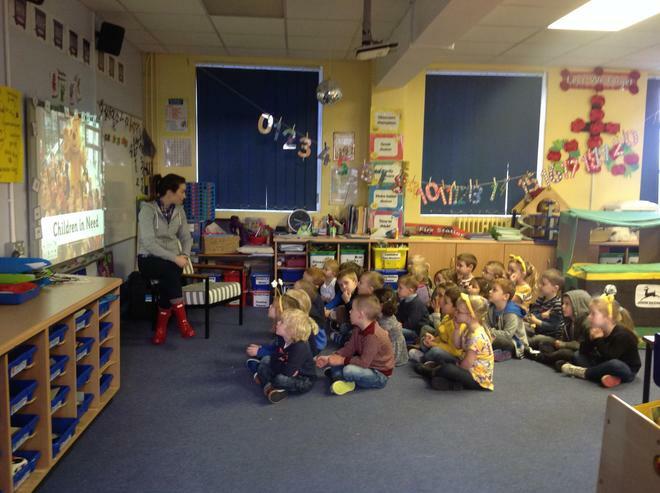 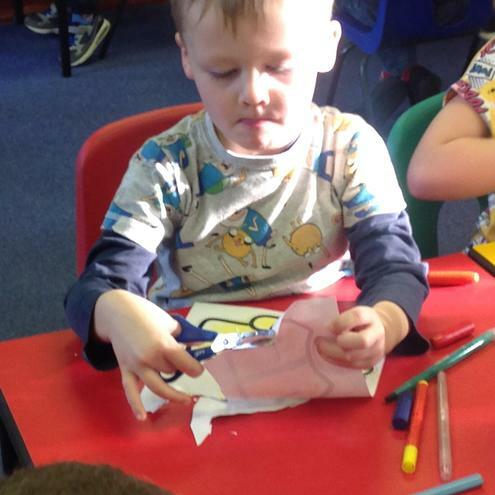 We learned what a charity is and who Children In Need raise money for. 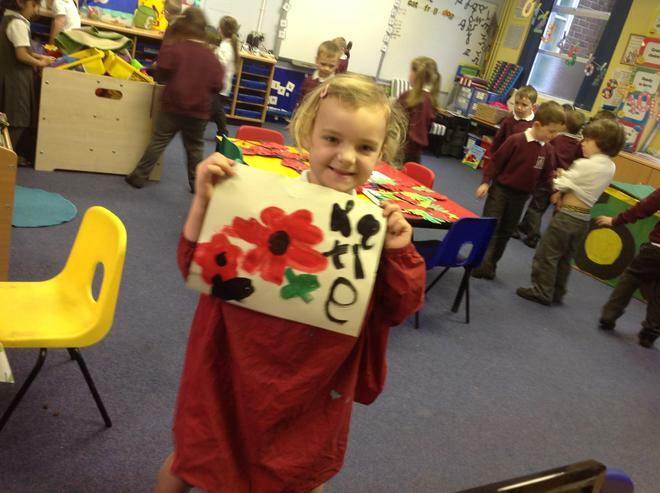 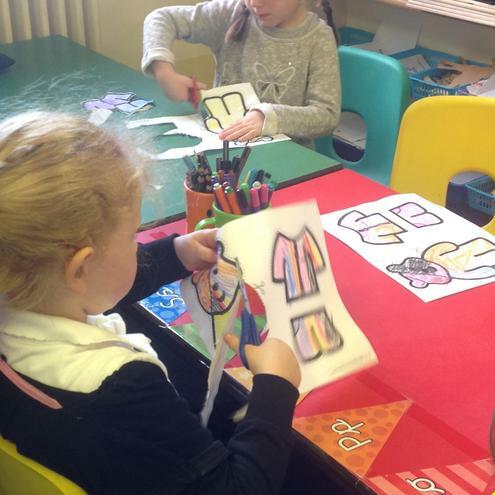 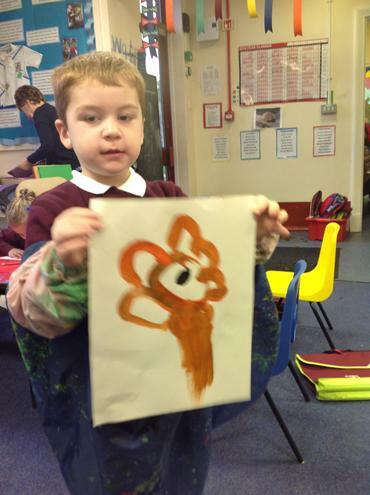 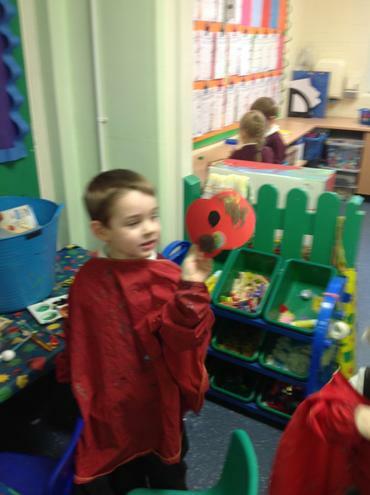 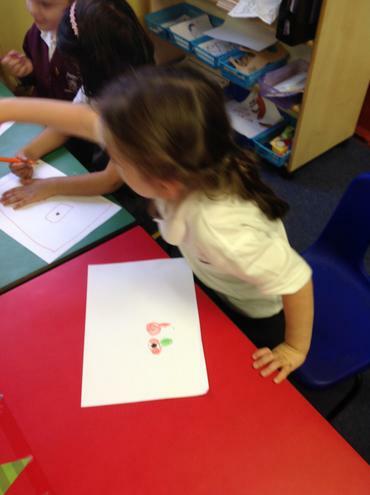 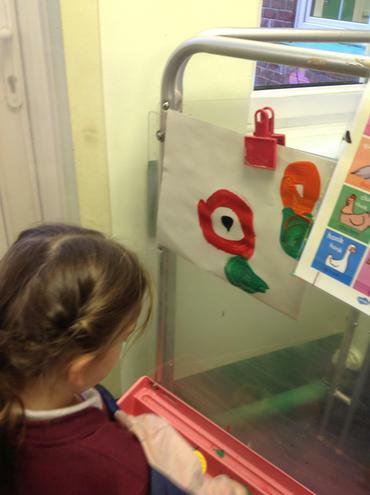 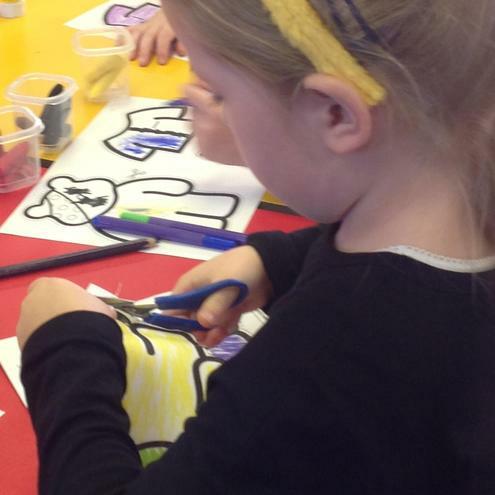 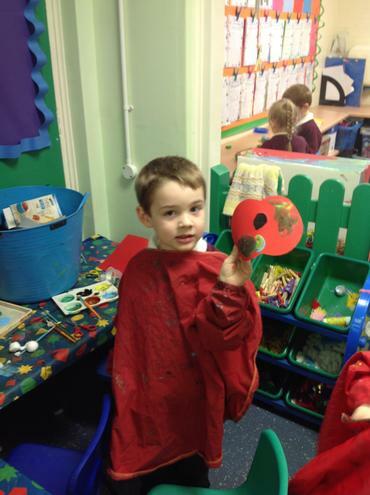 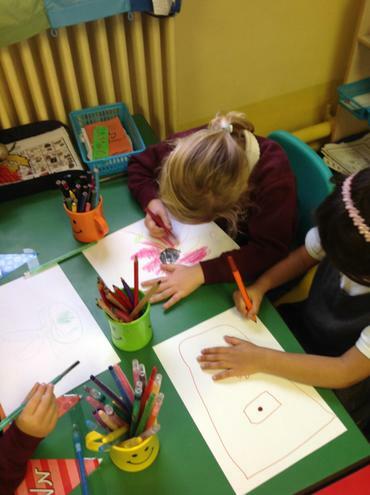 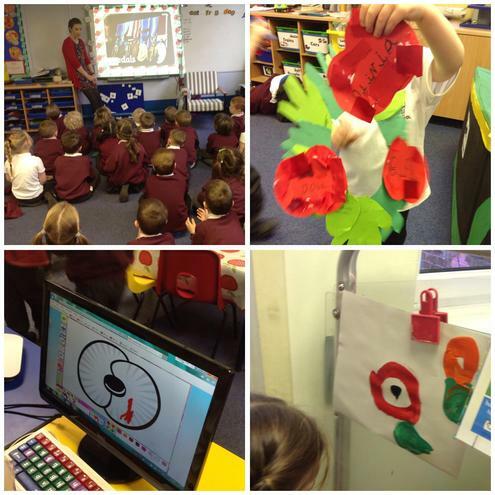 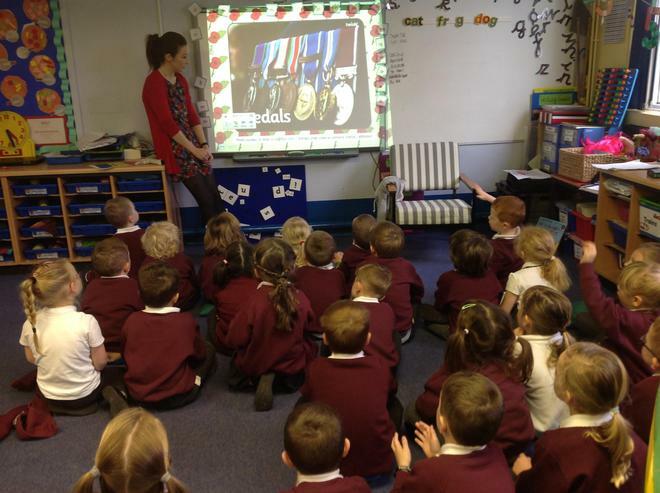 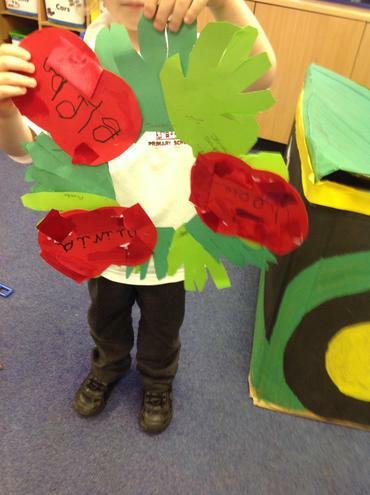 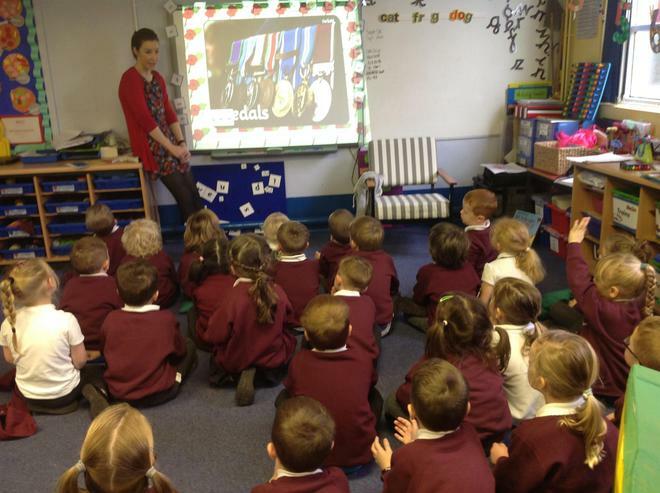 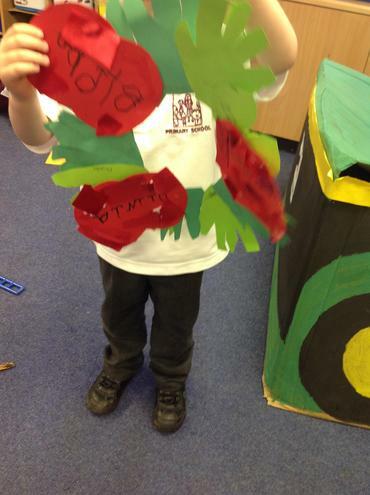 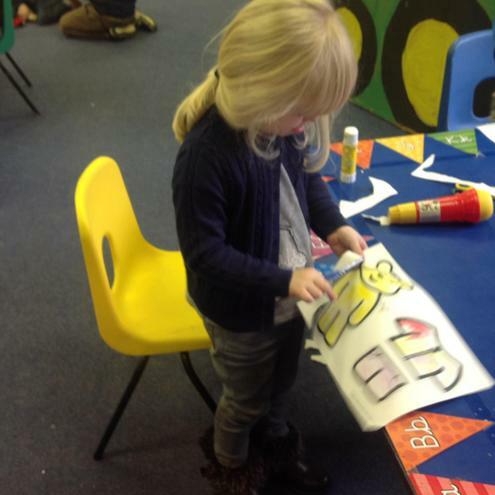 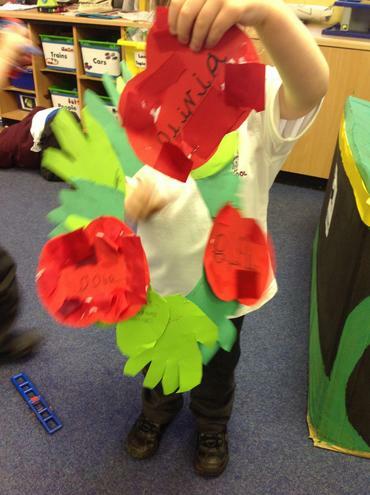 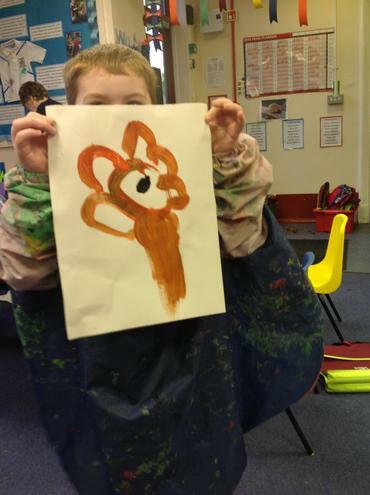 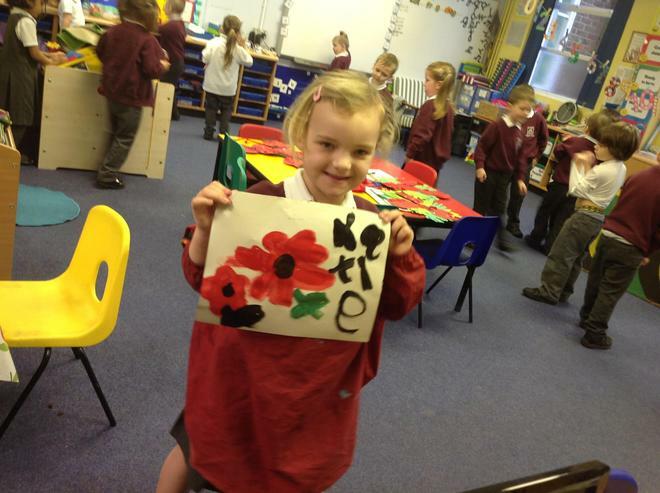 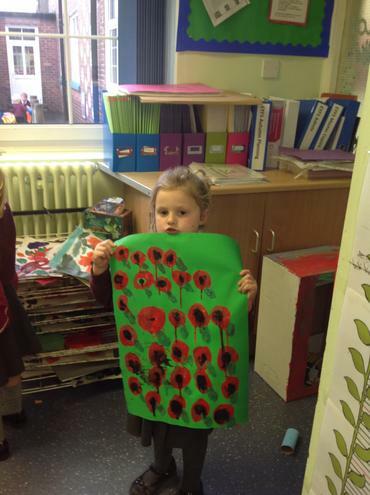 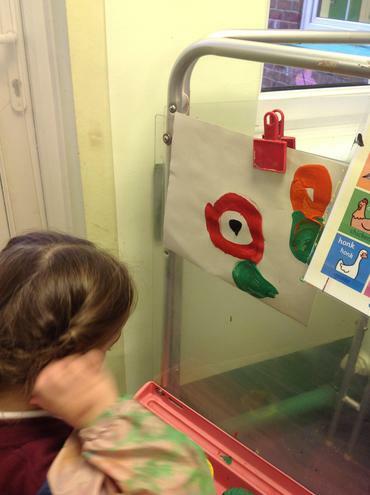 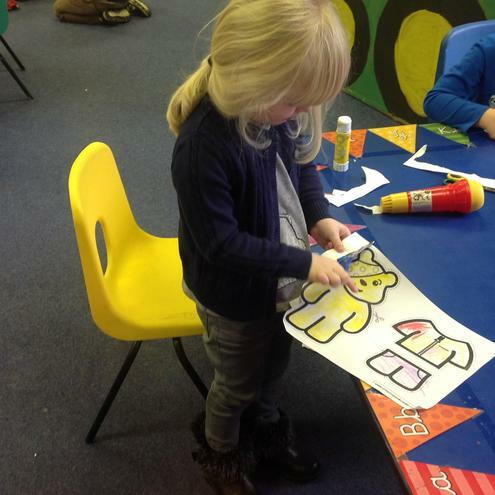 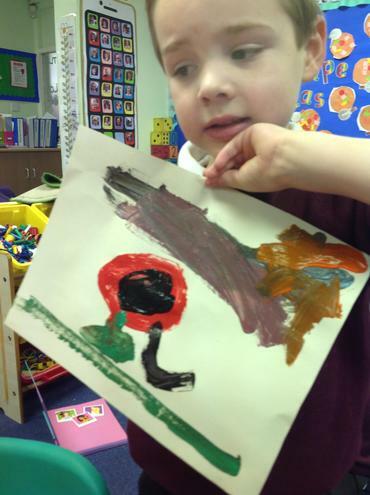 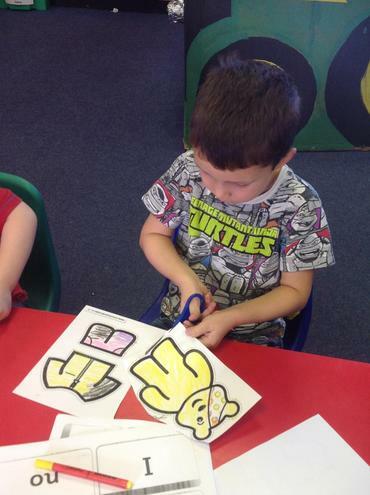 We learned about Remembrance Day and created various artwork for the whole school show and tell Remembrance Assembly. 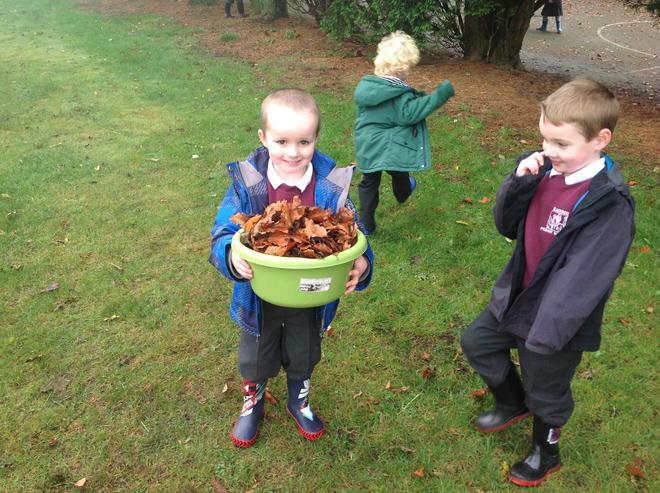 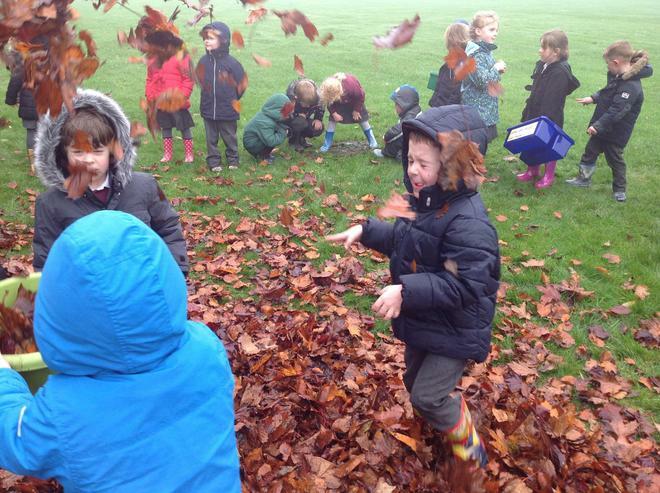 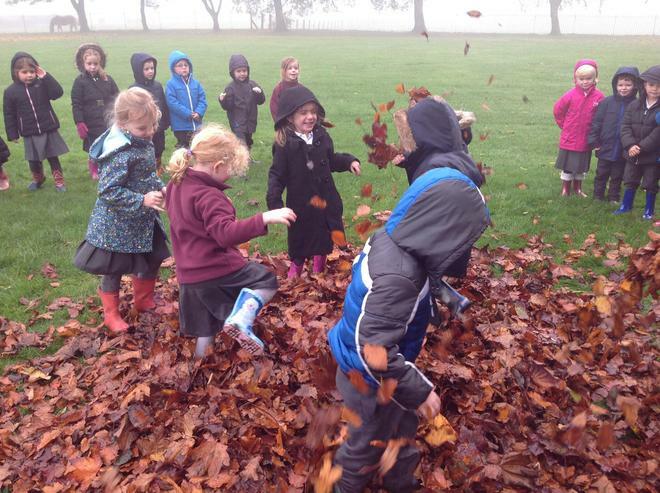 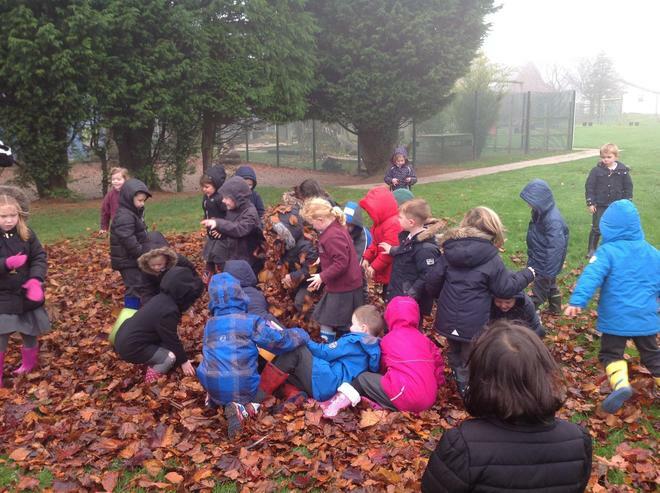 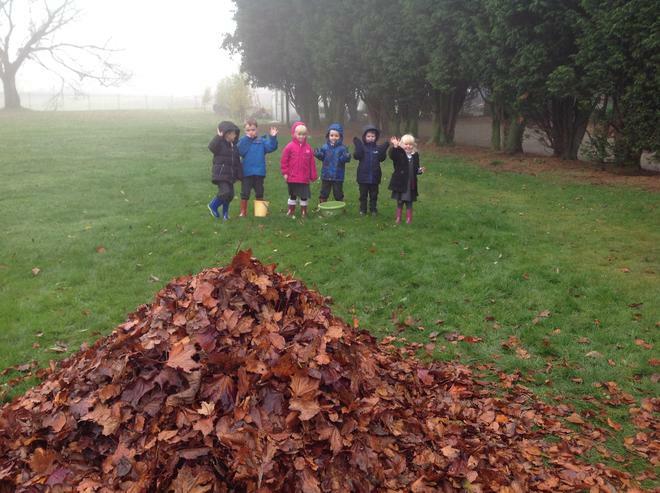 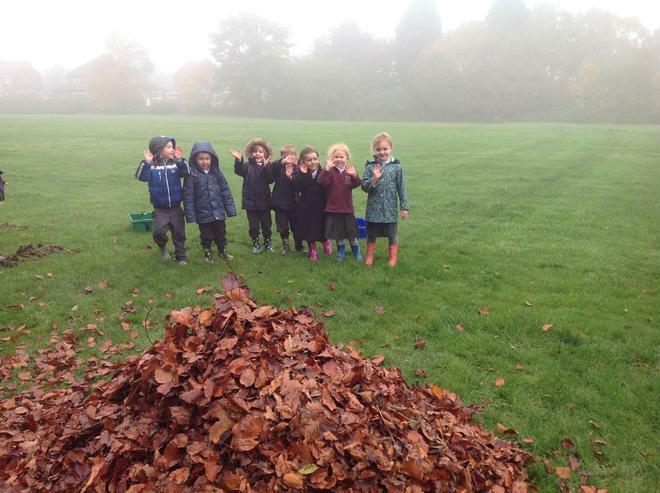 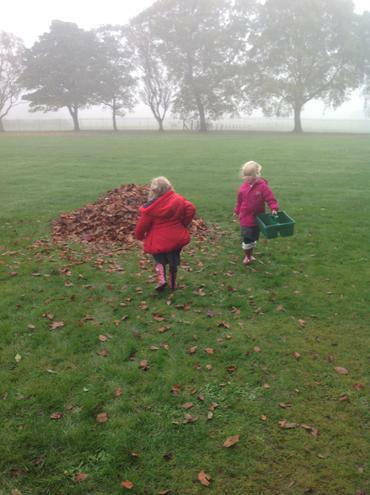 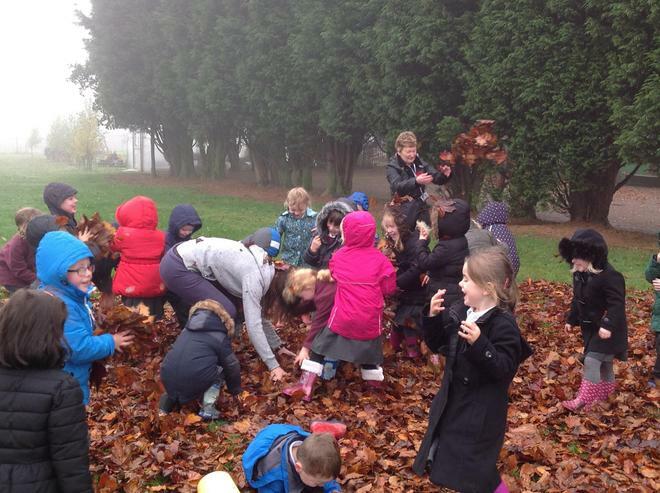 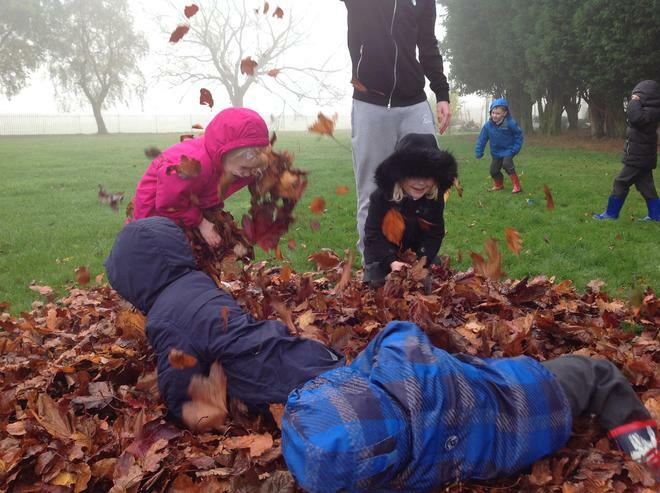 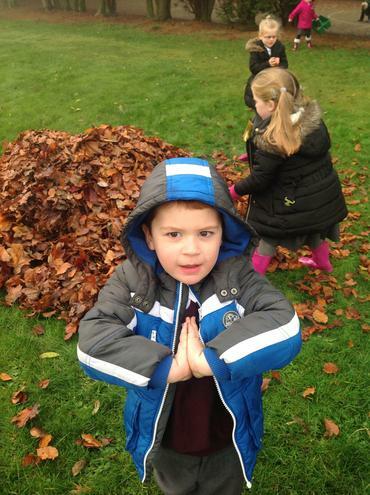 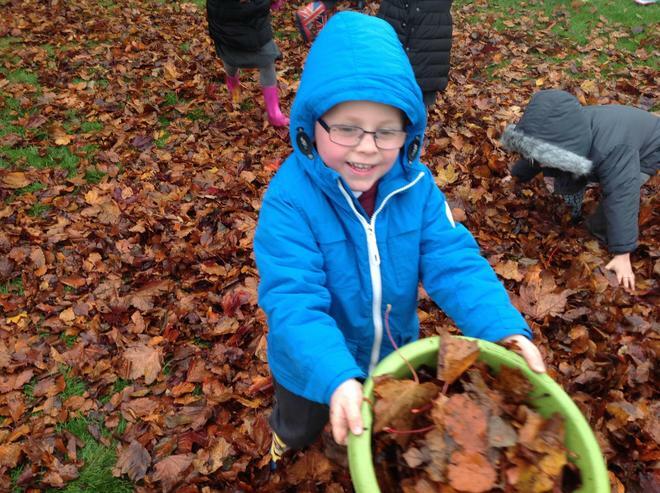 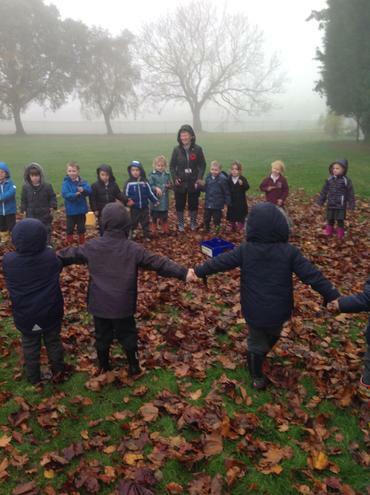 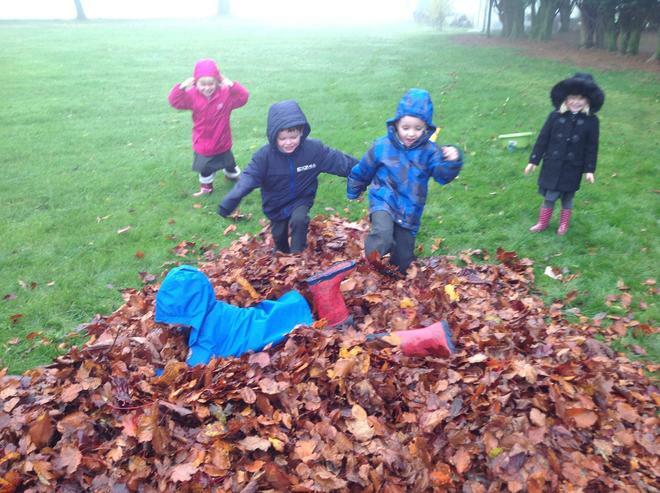 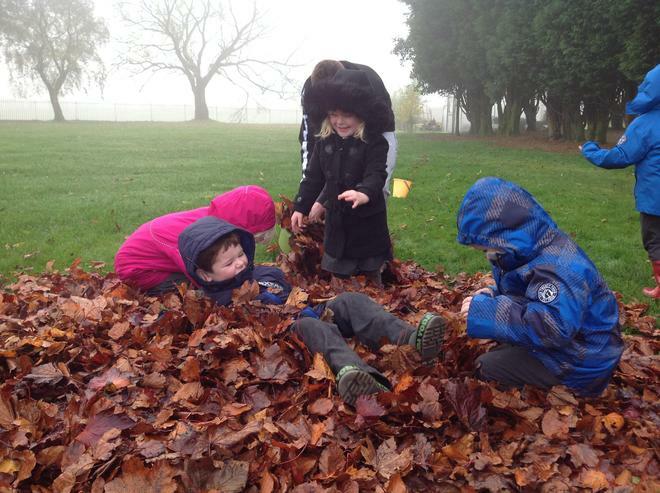 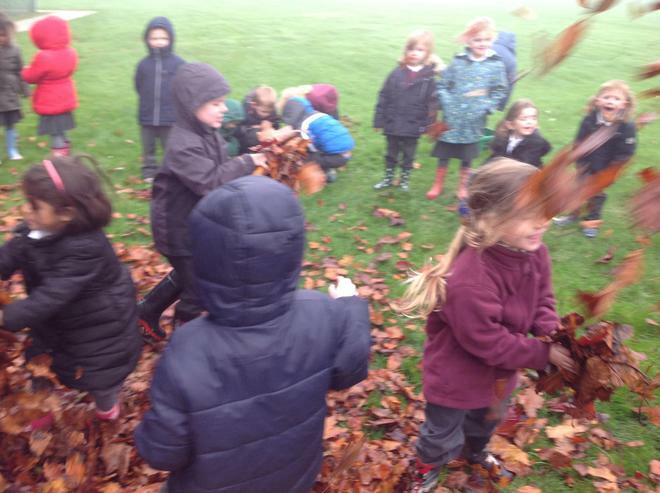 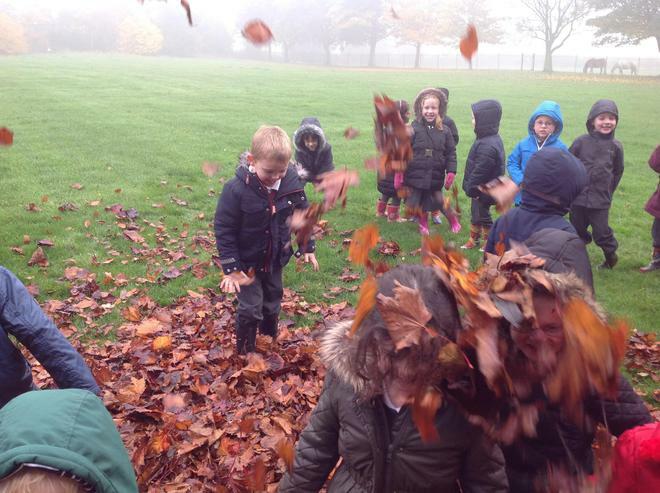 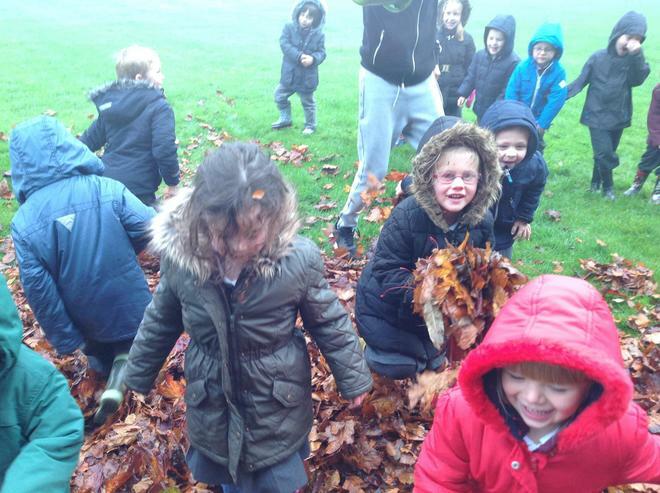 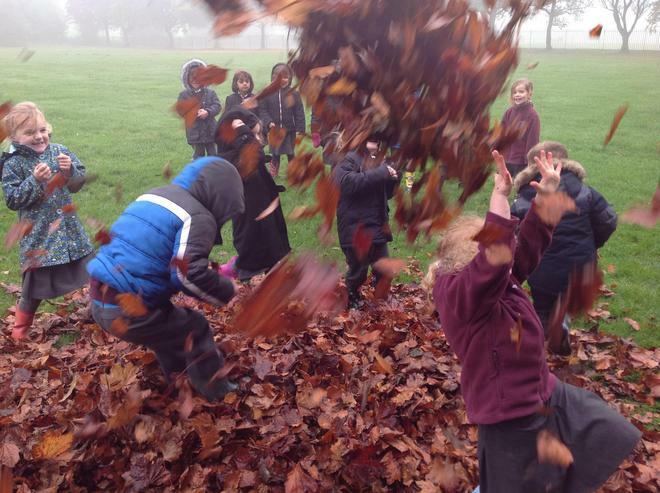 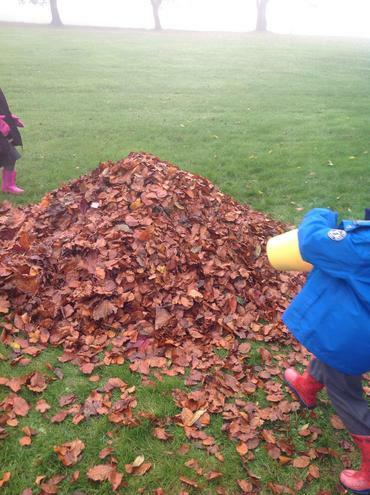 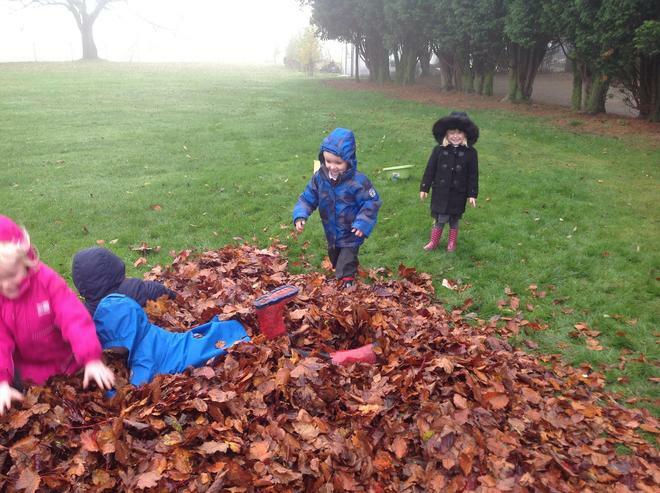 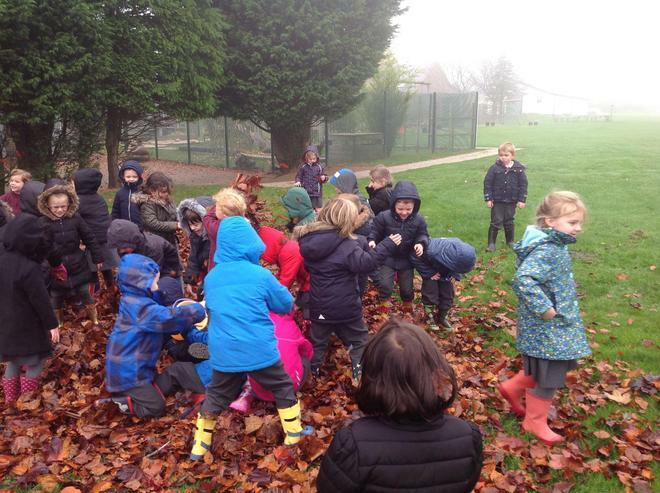 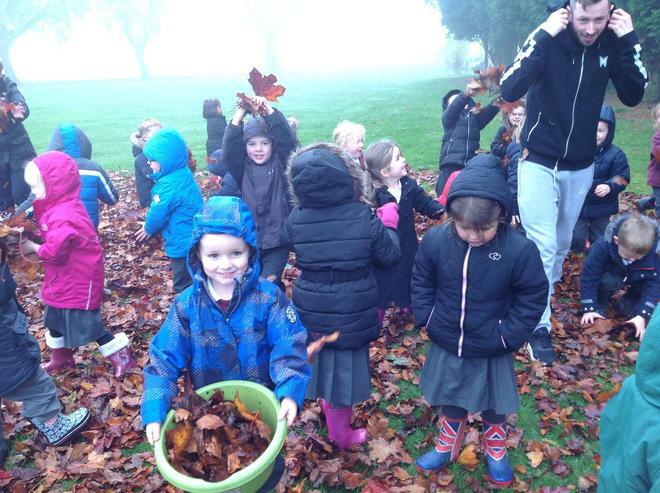 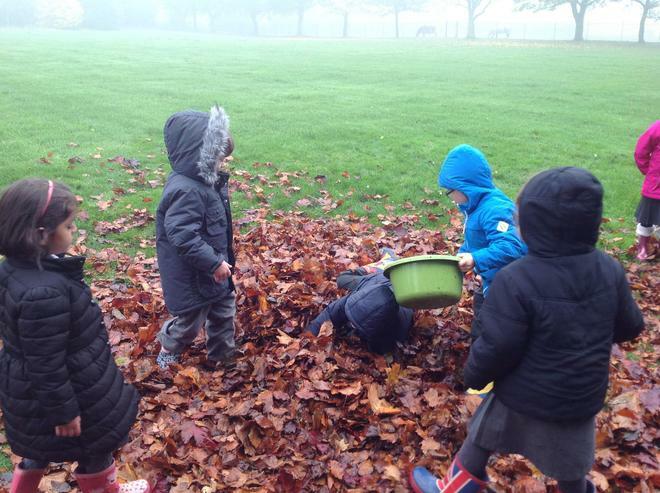 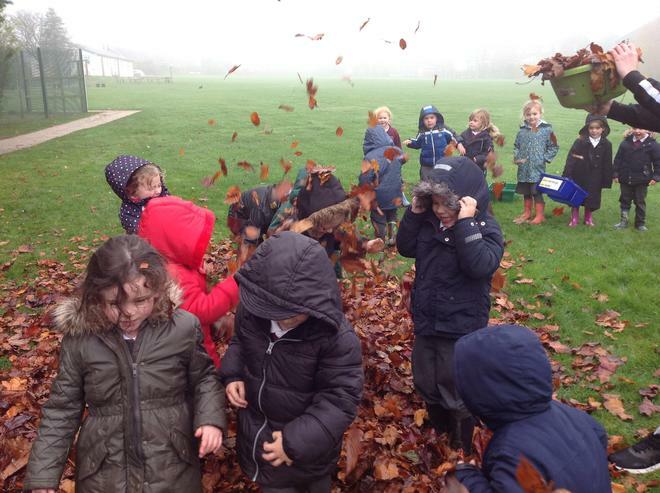 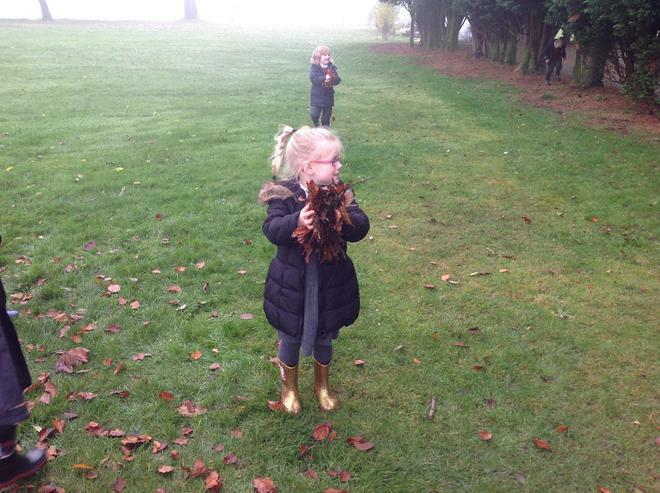 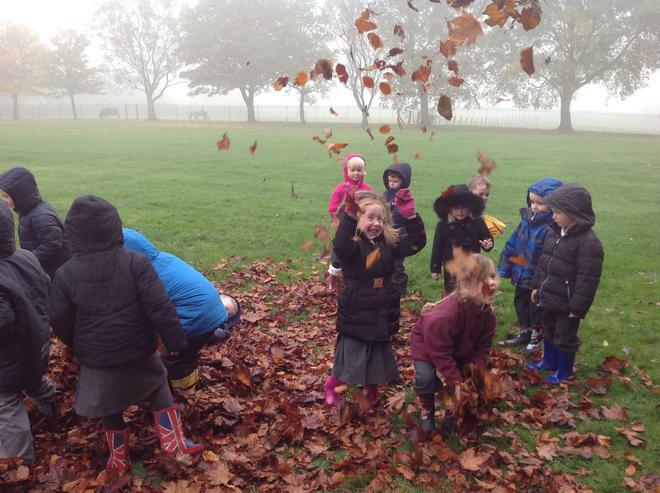 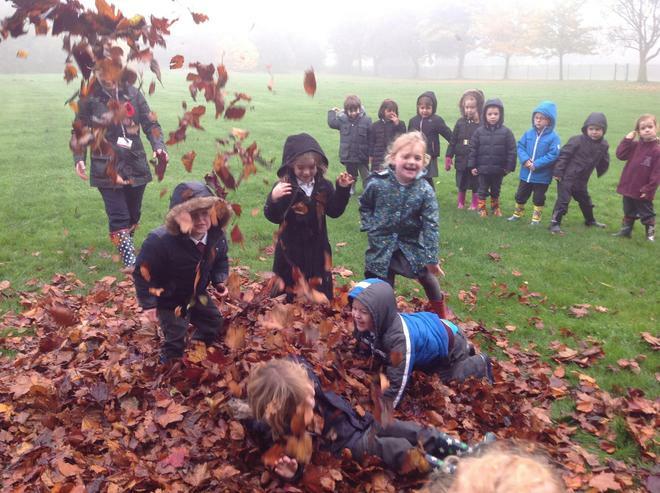 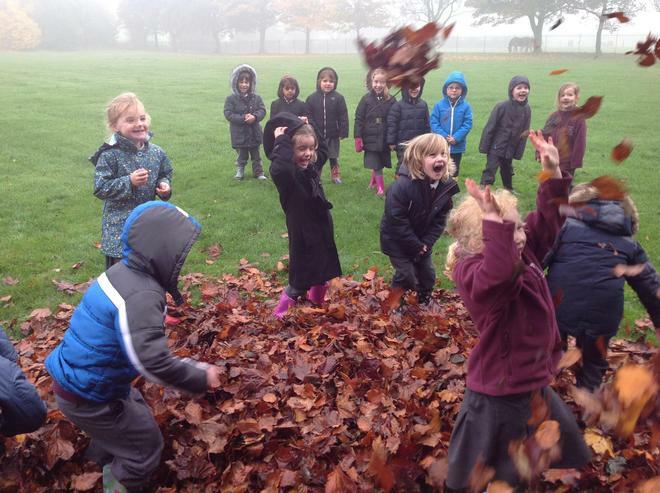 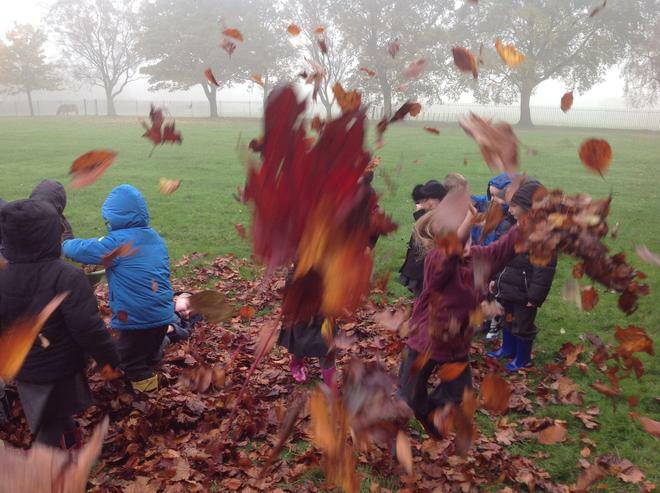 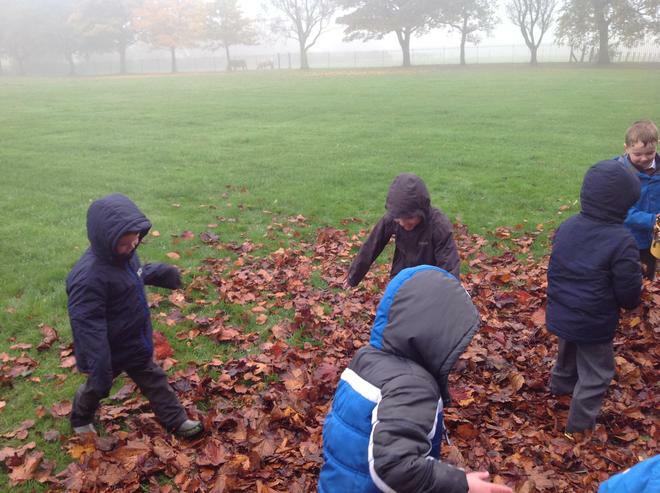 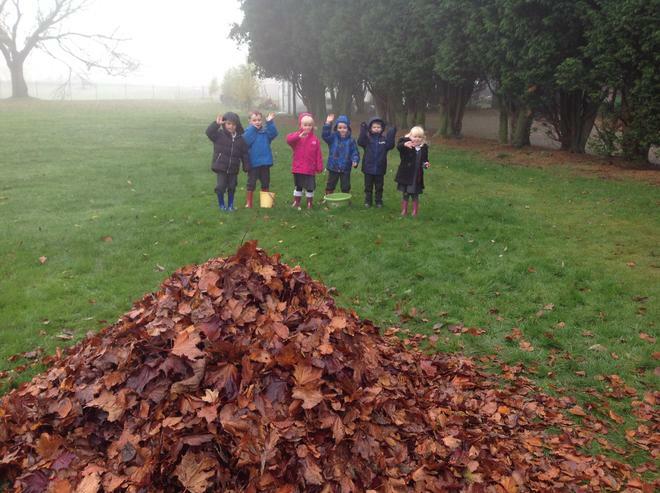 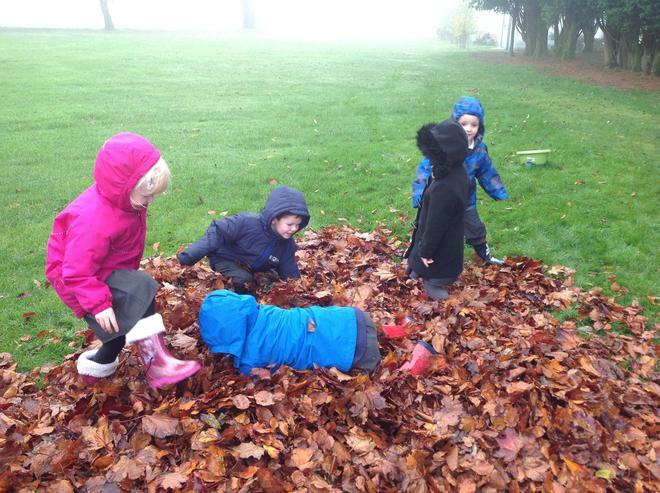 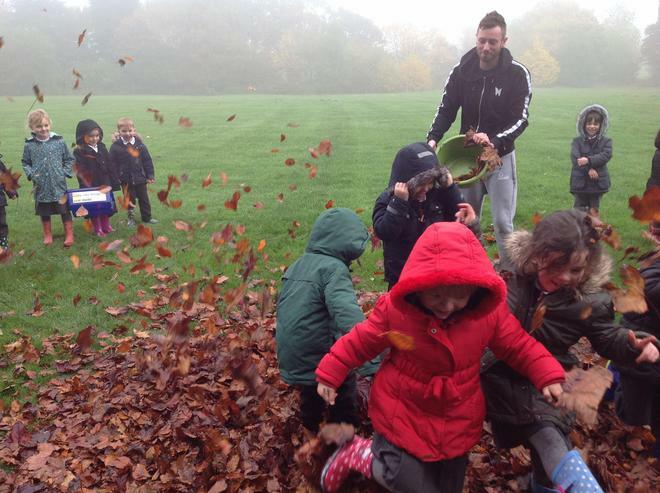 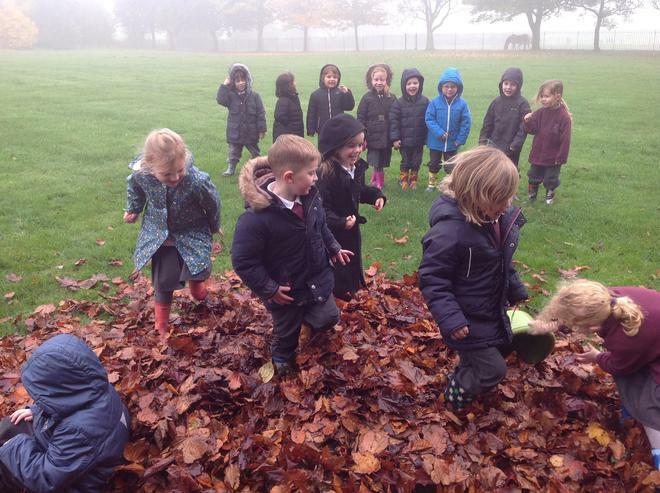 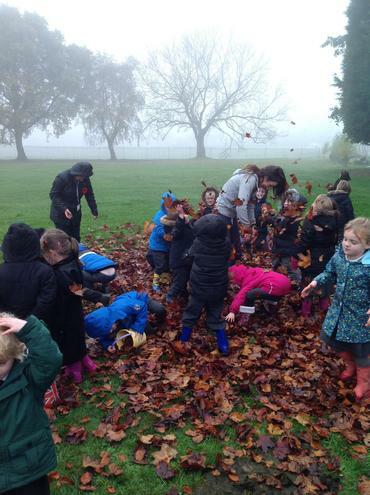 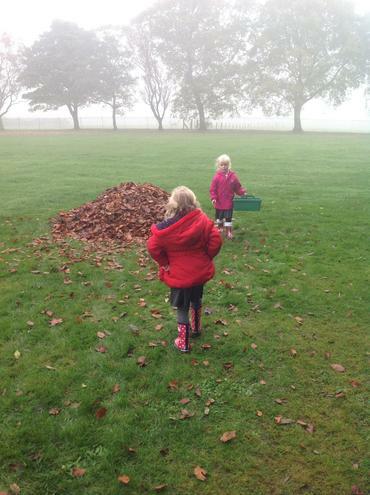 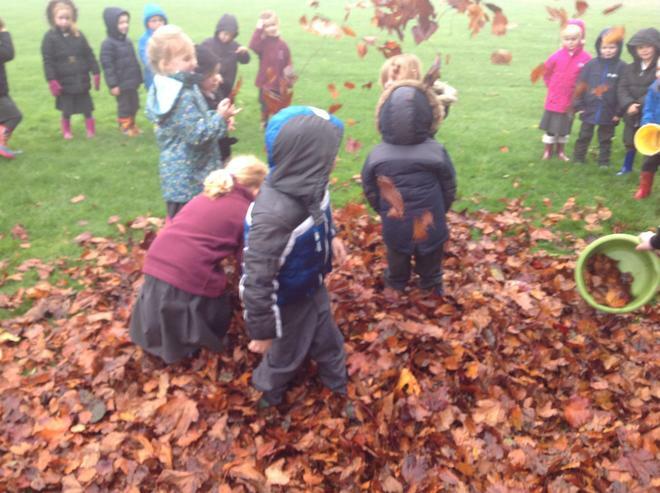 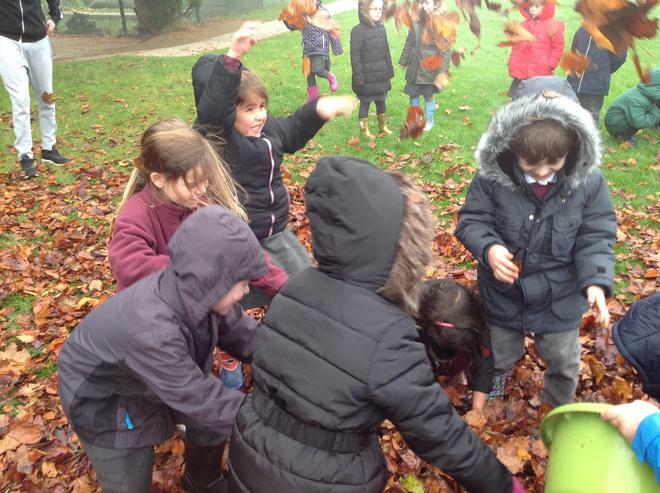 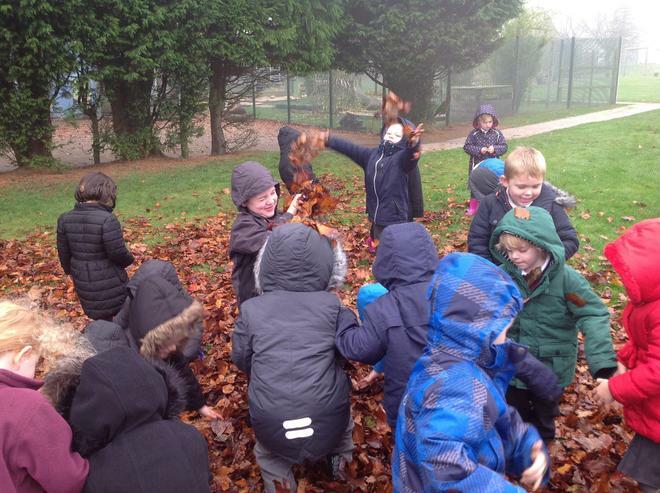 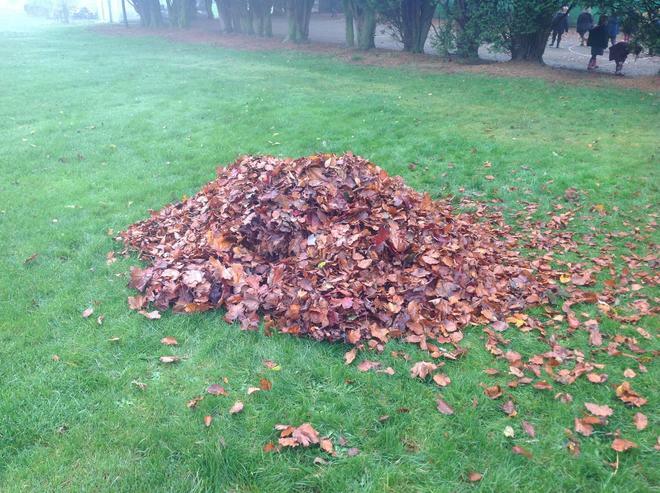 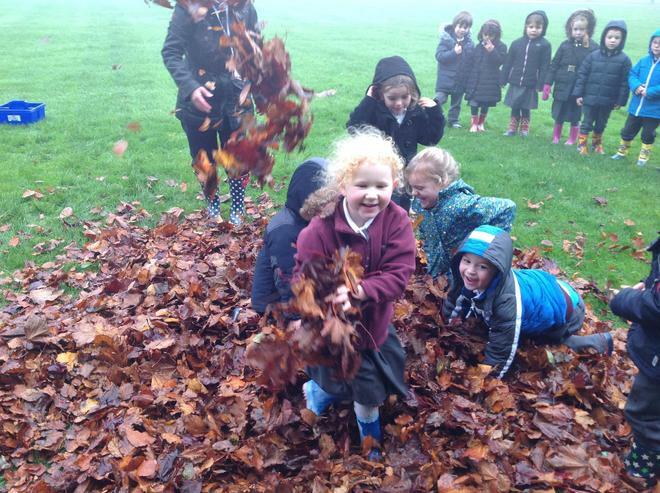 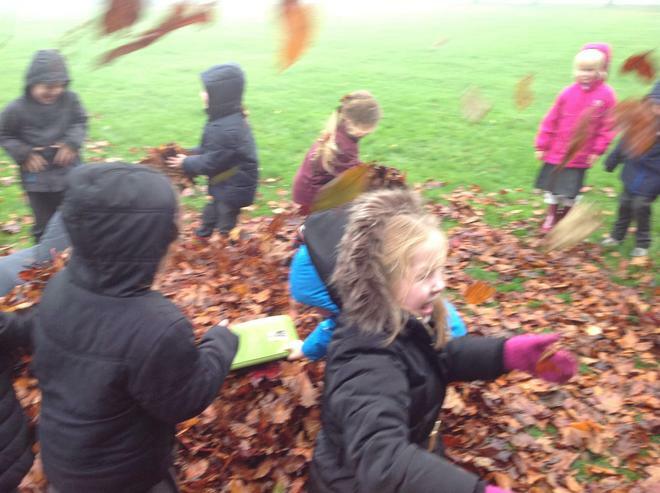 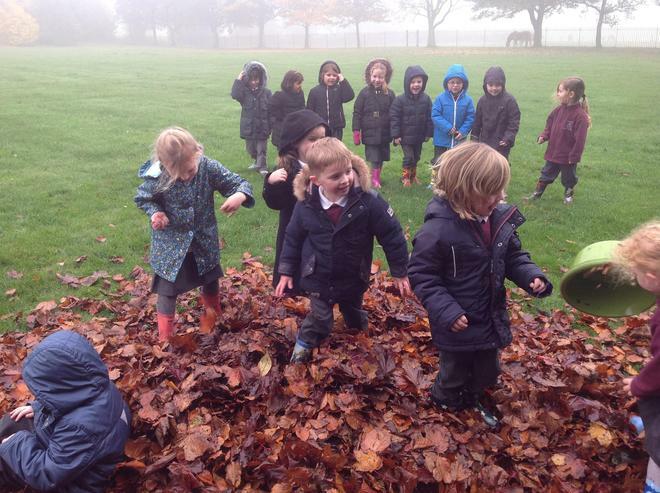 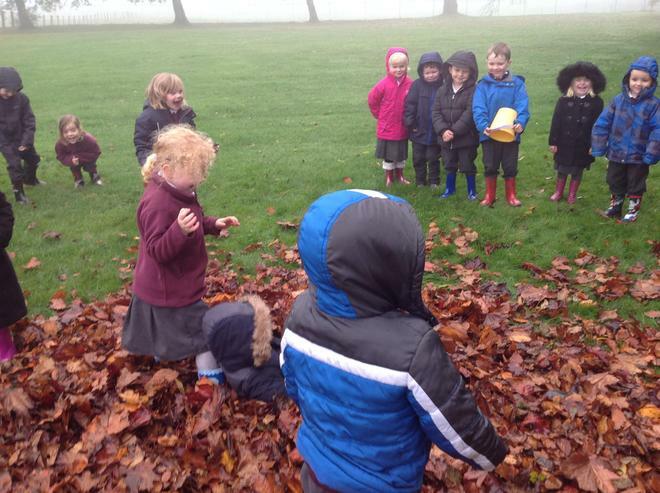 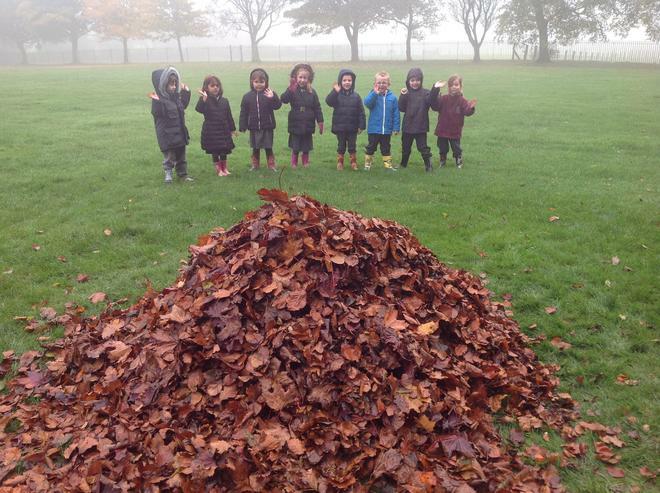 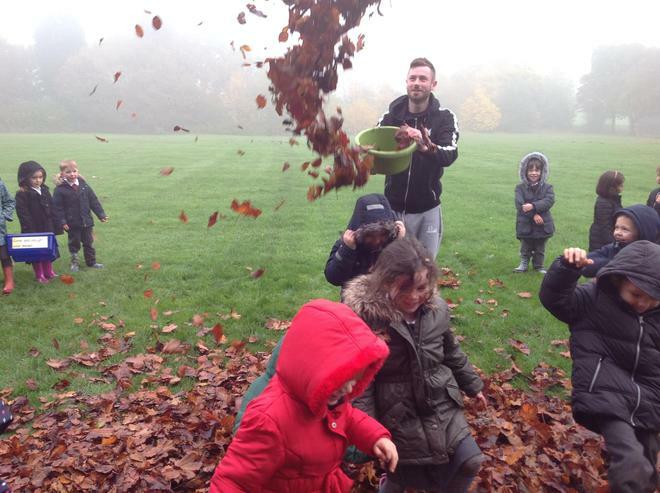 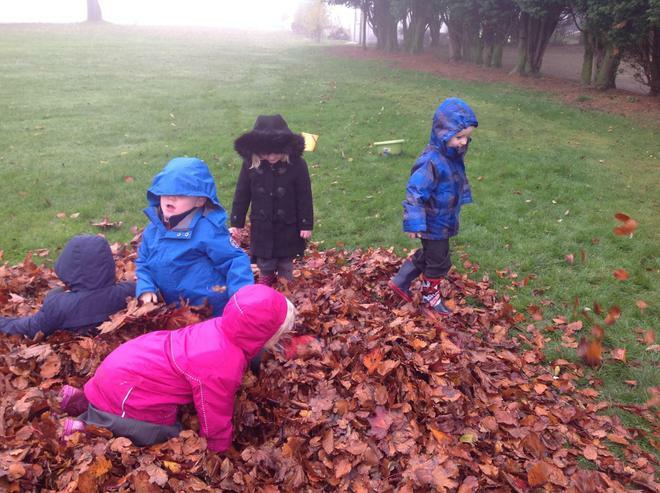 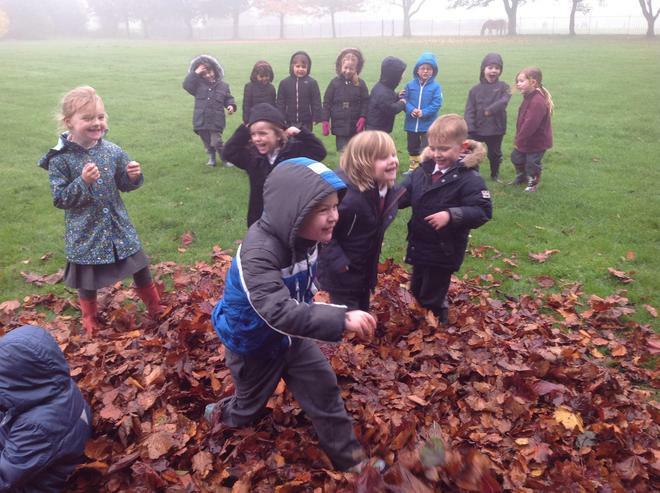 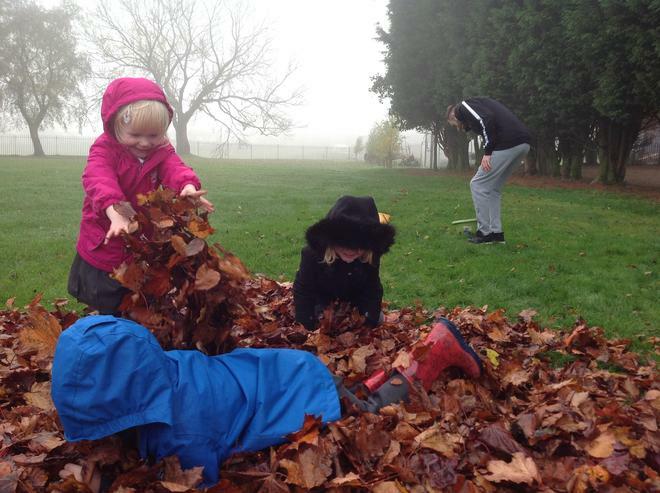 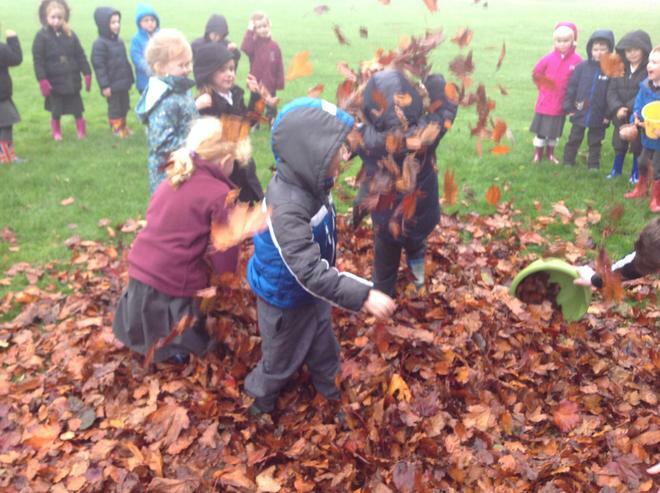 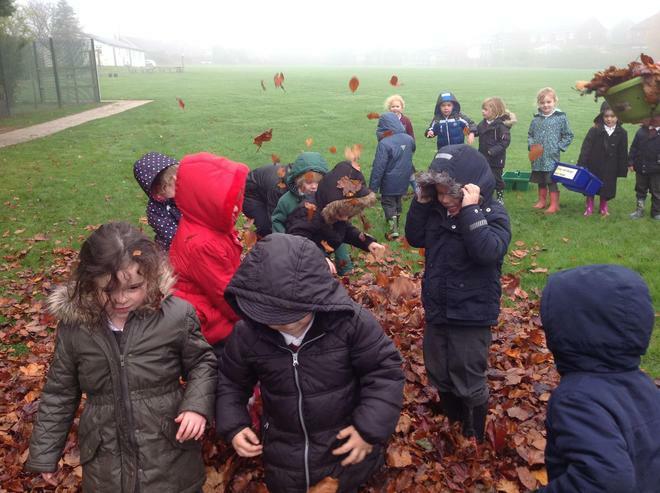 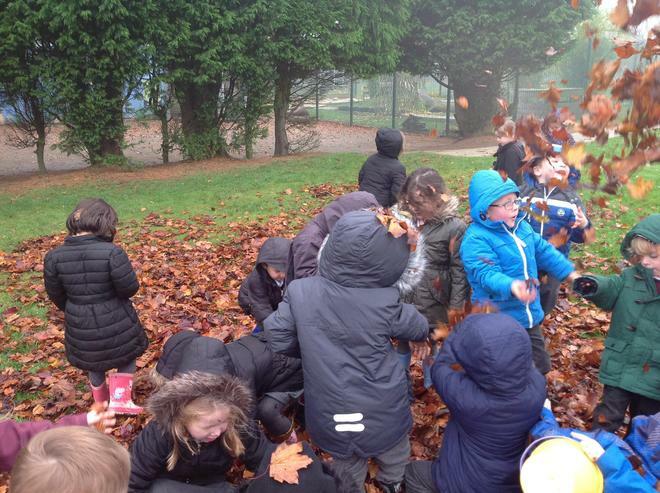 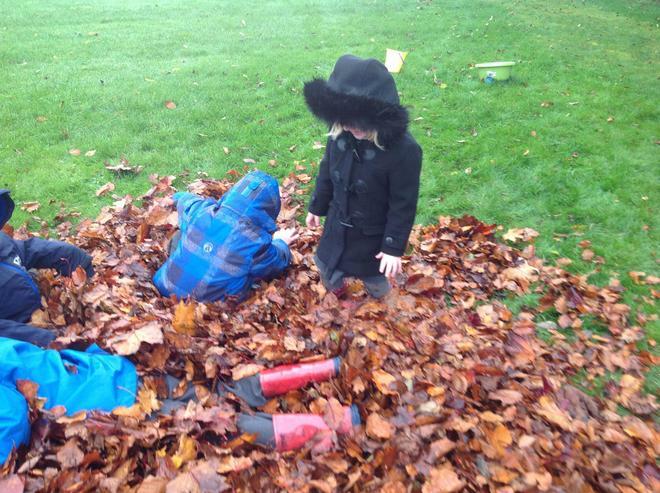 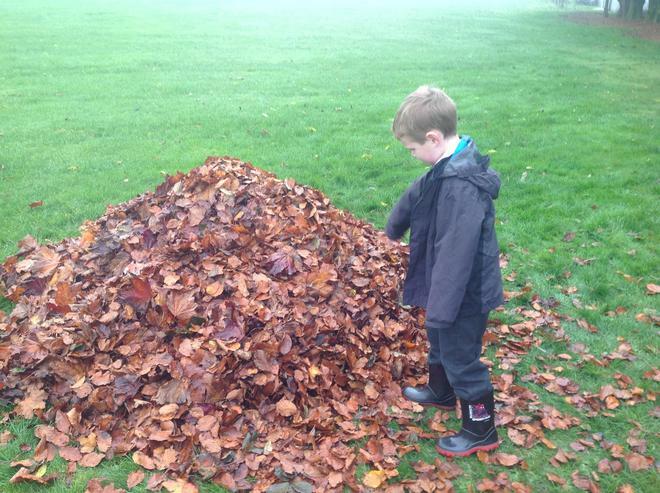 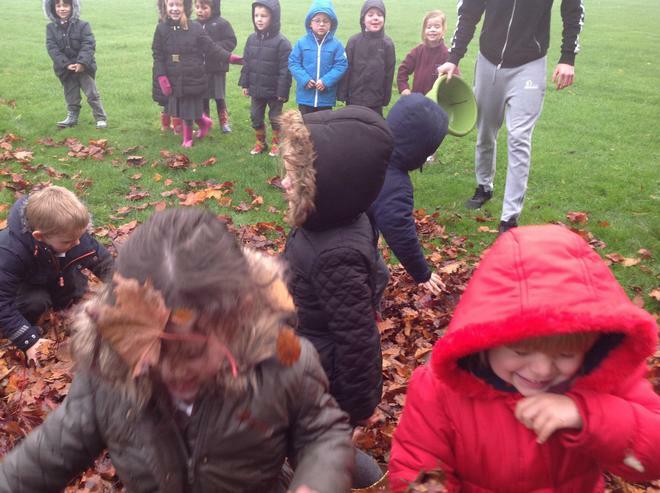 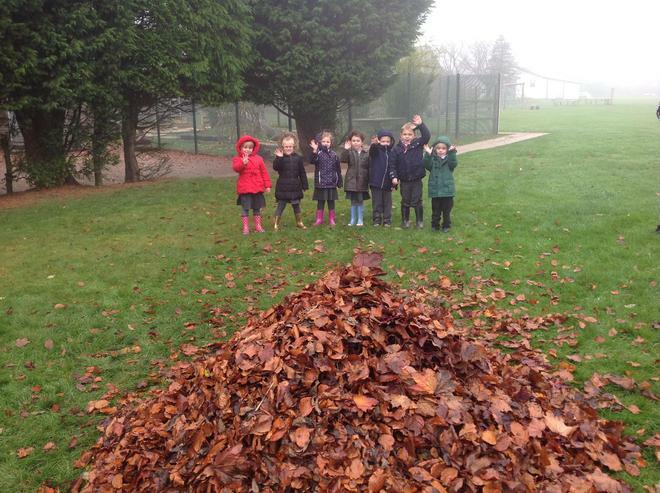 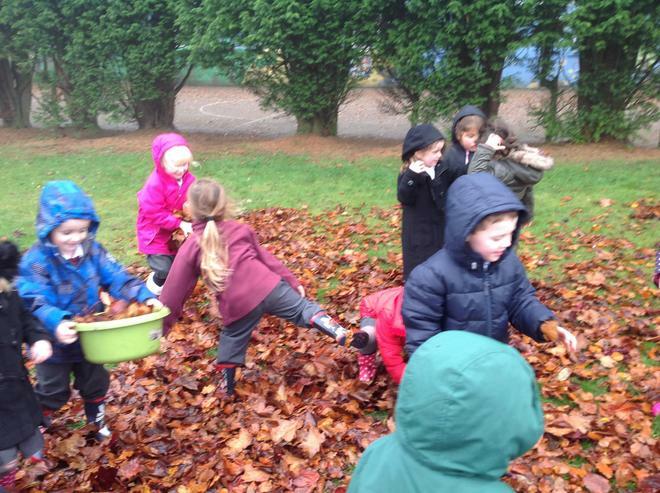 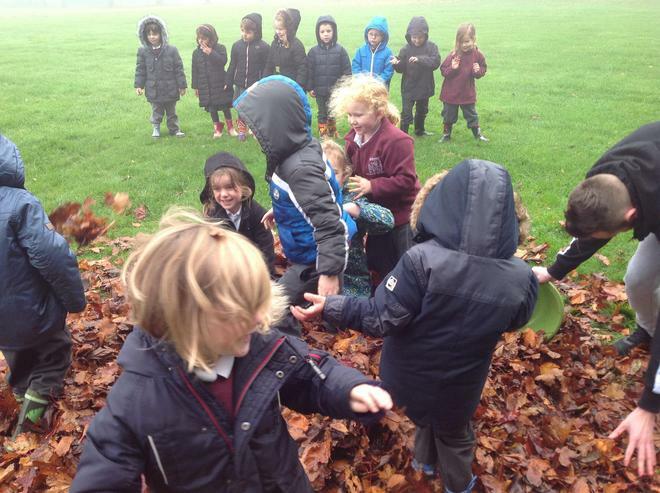 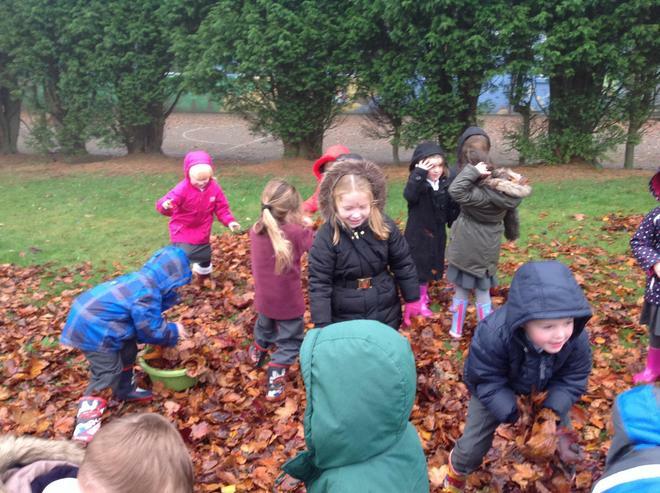 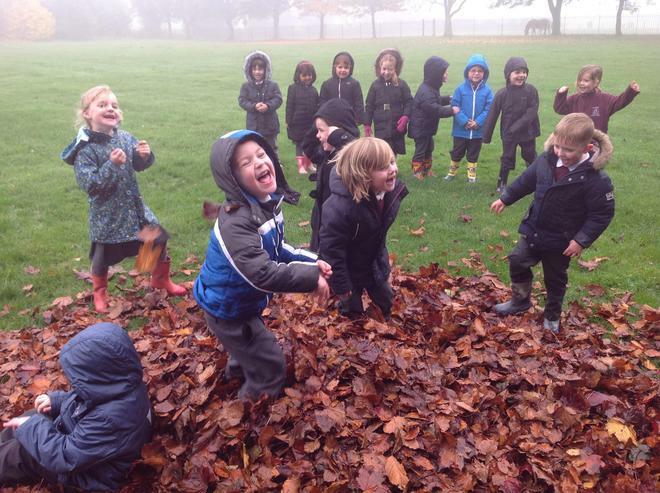 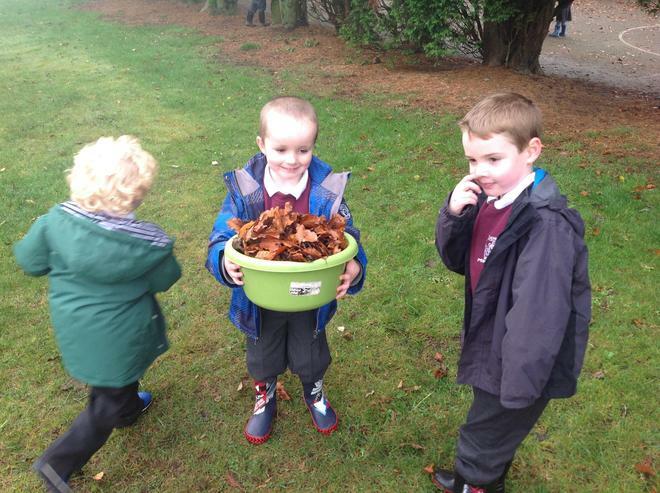 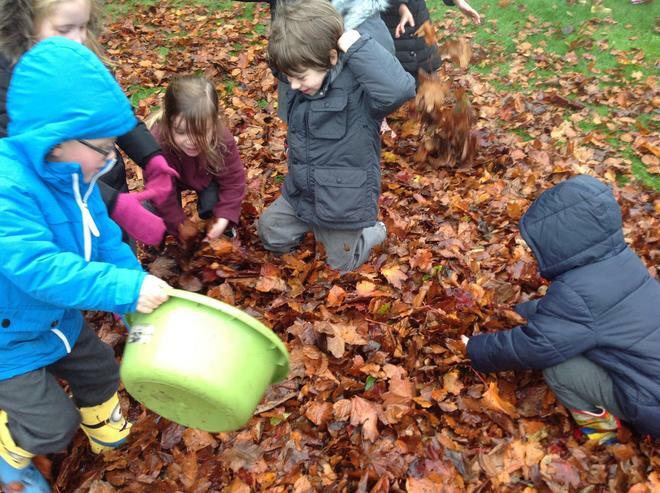 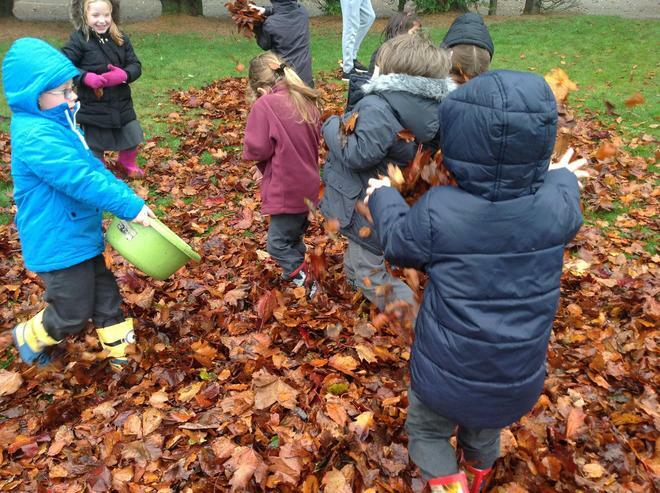 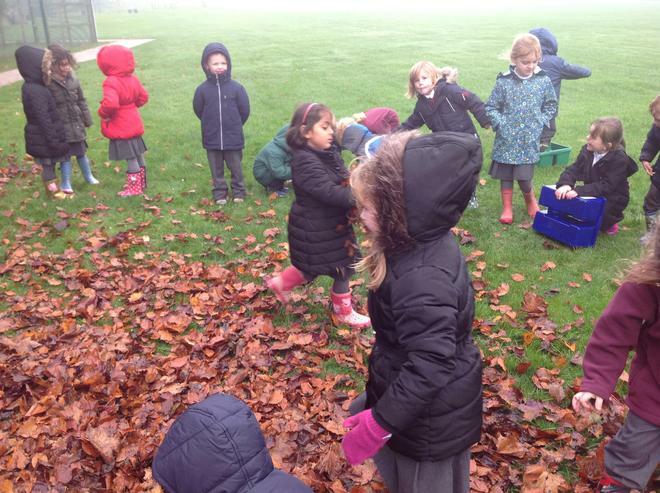 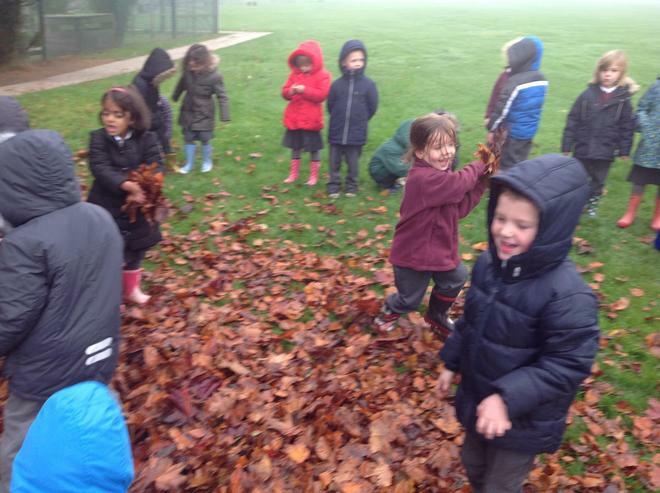 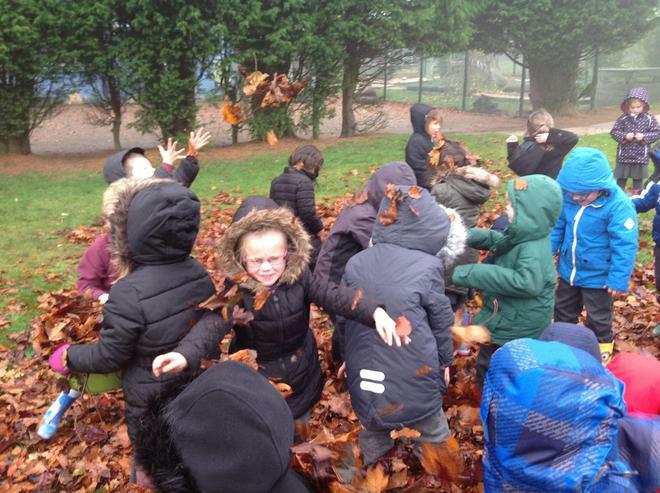 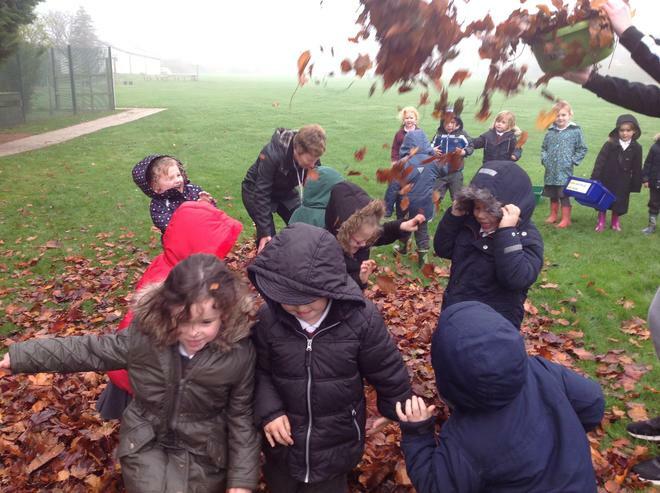 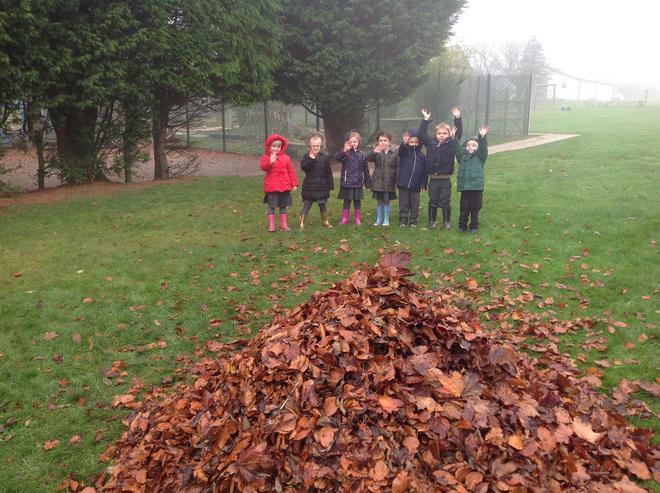 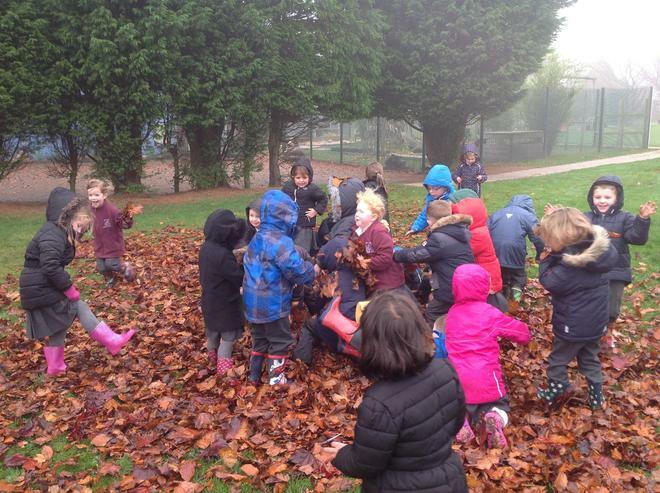 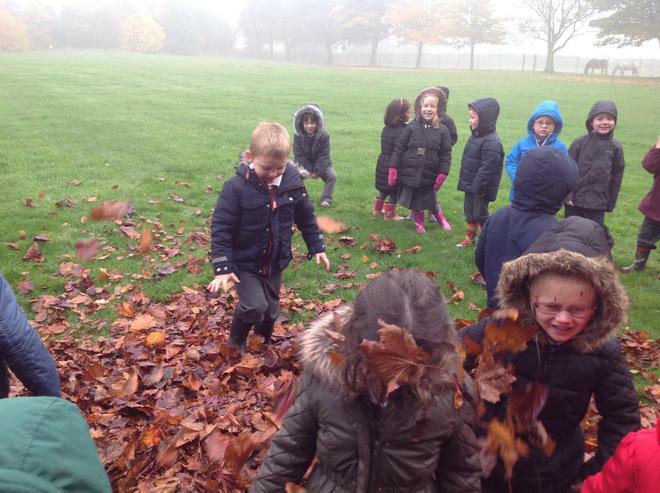 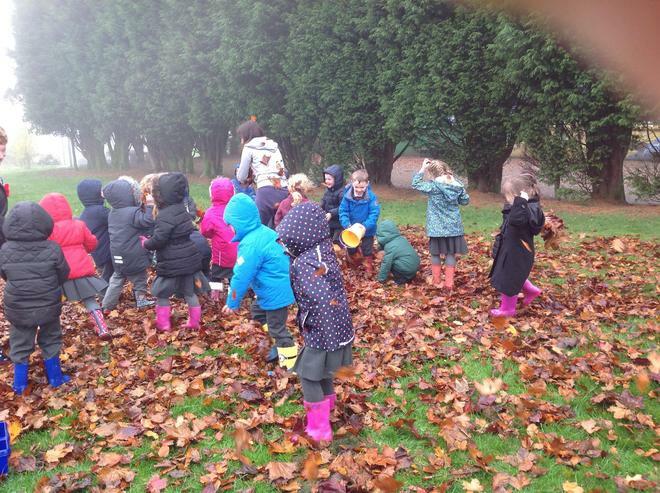 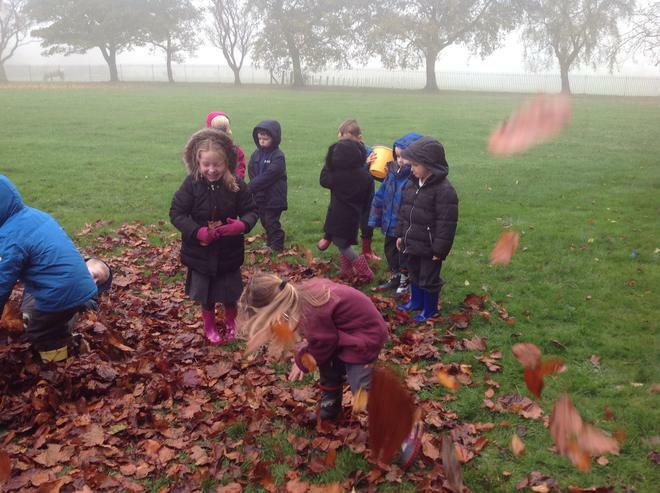 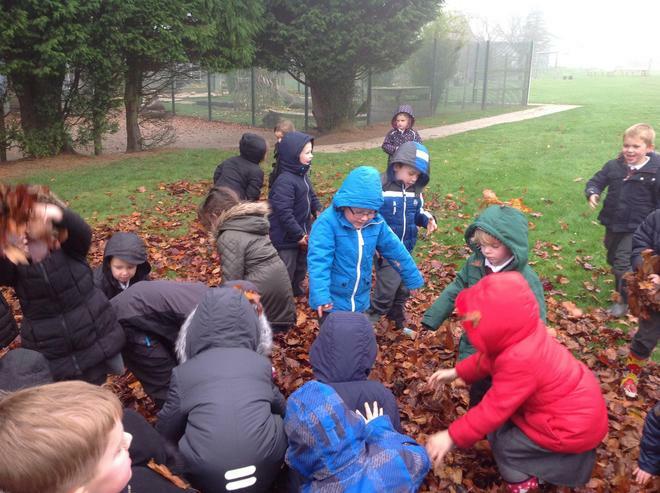 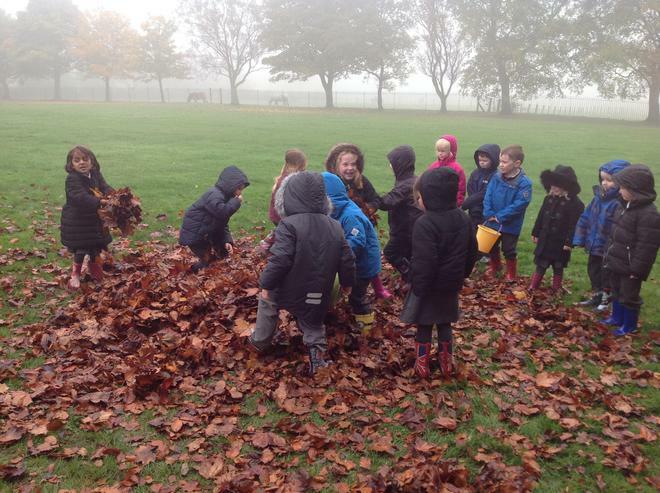 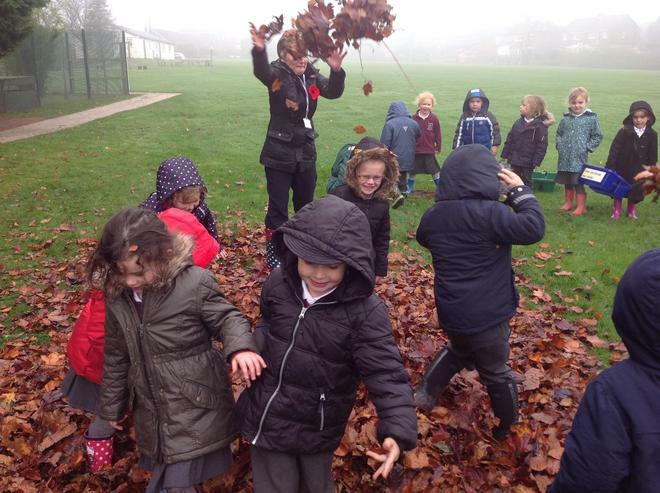 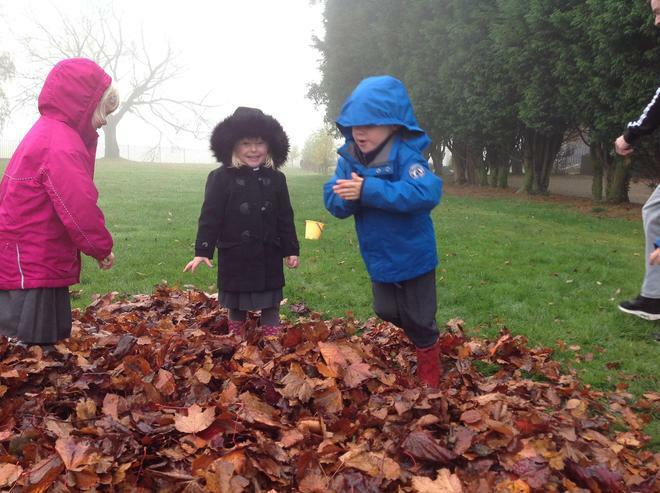 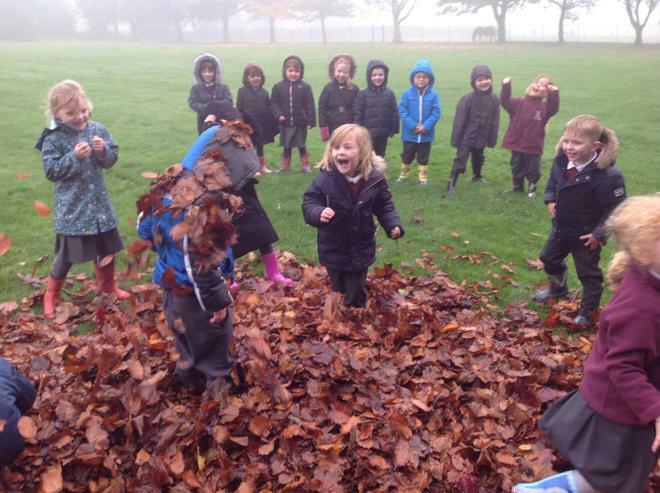 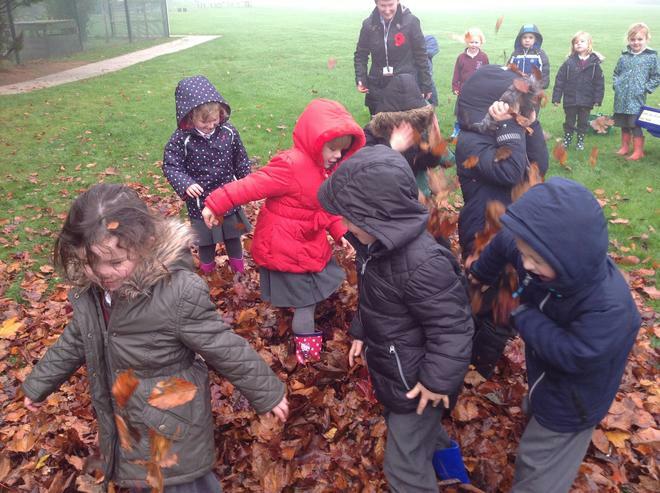 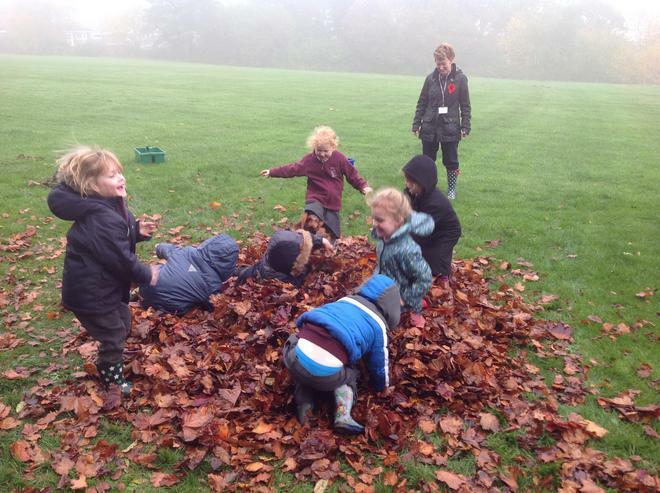 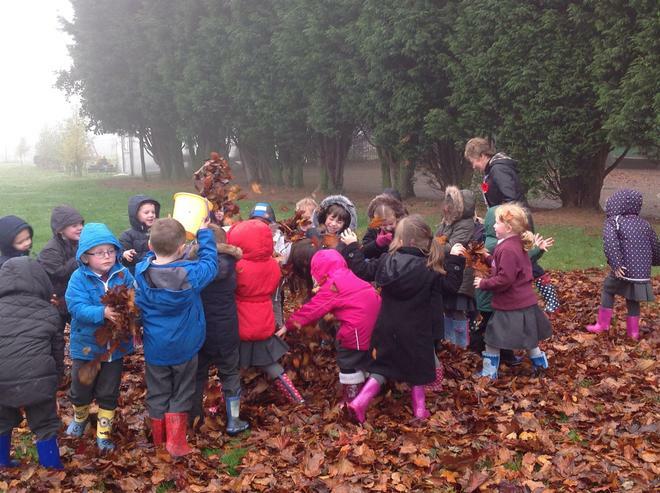 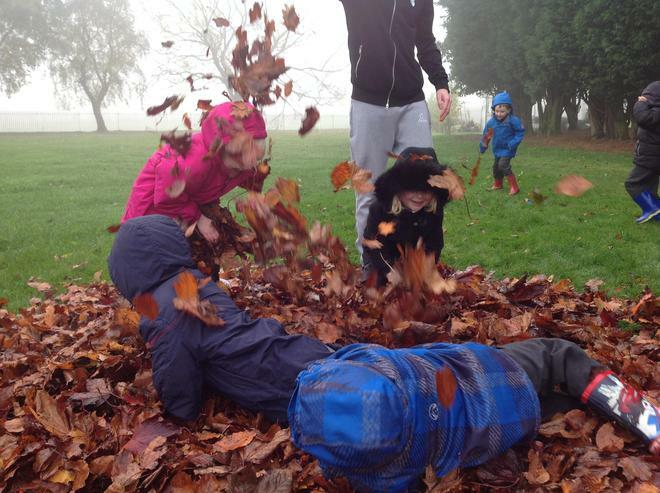 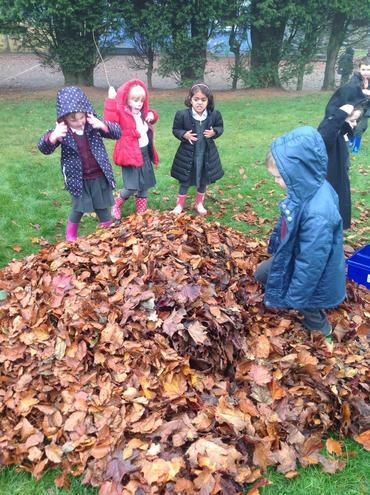 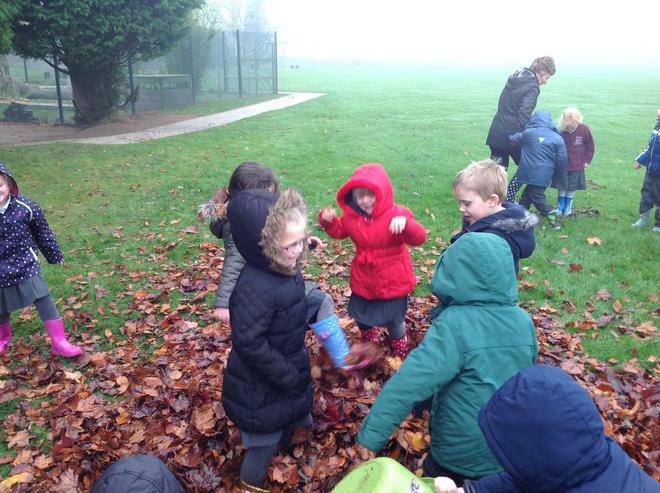 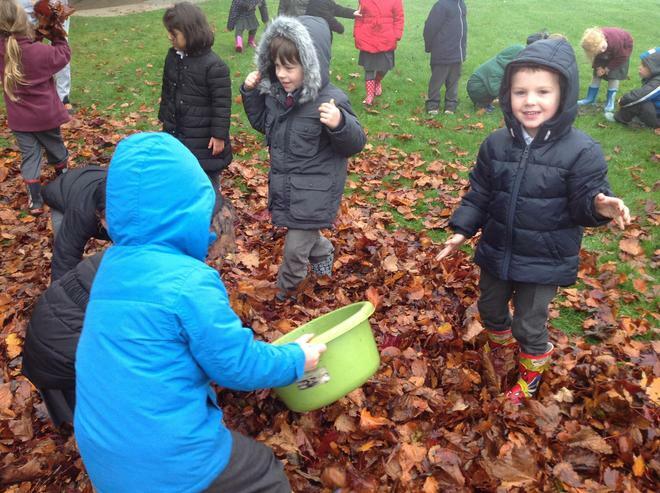 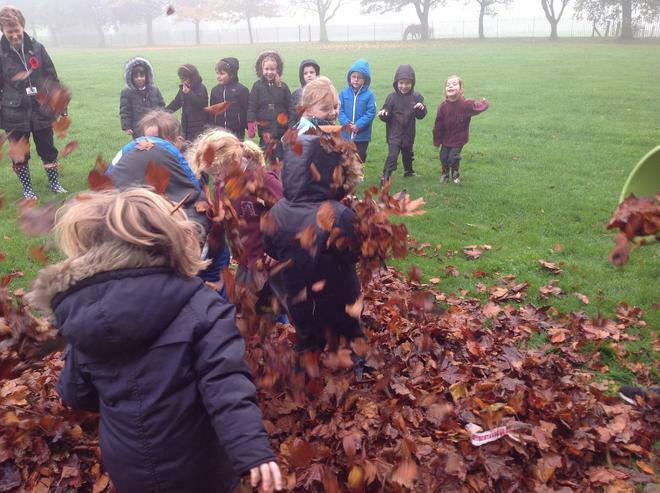 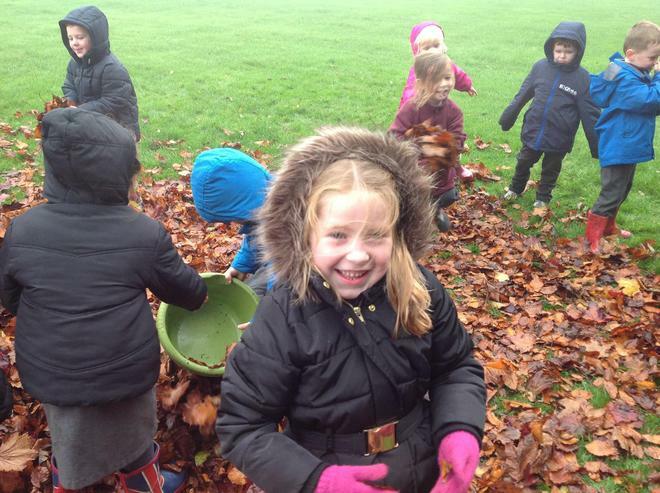 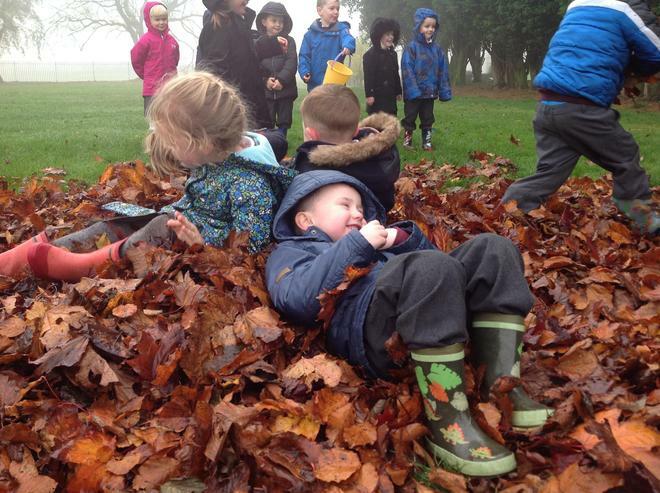 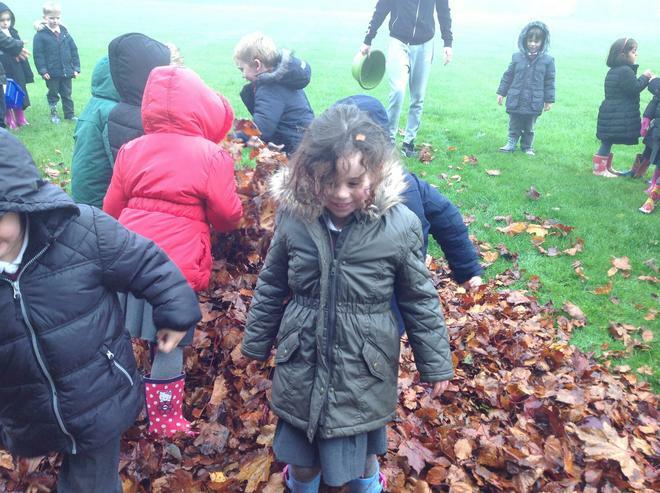 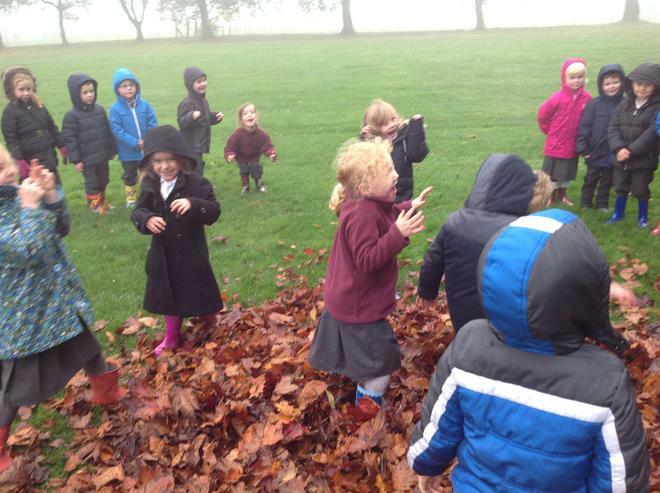 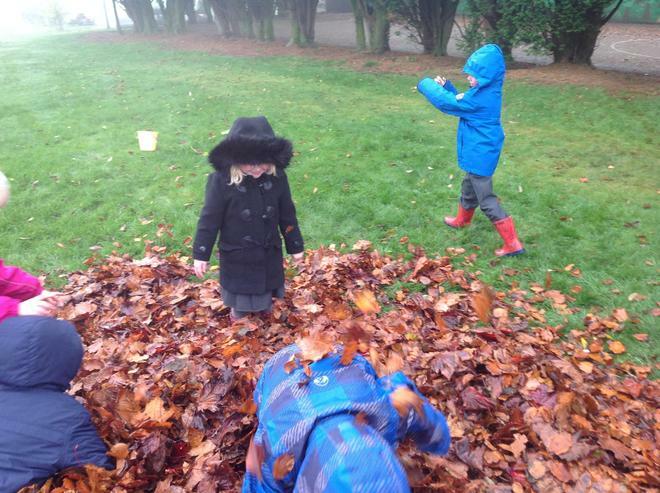 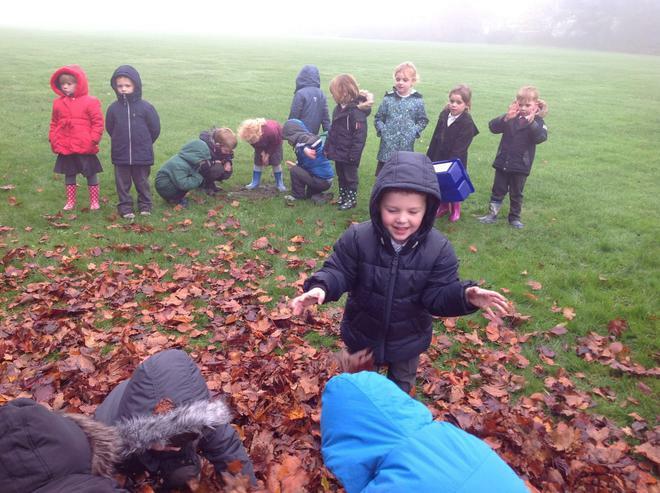 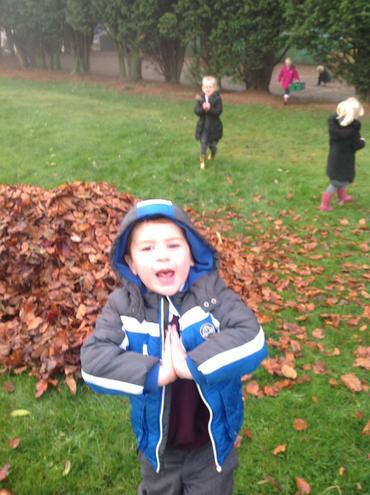 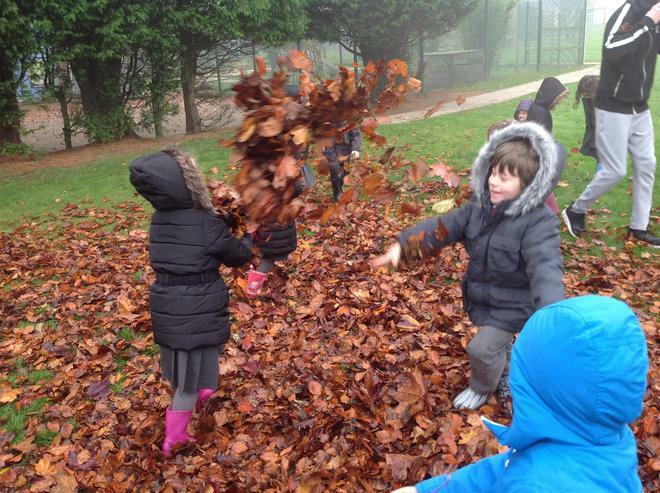 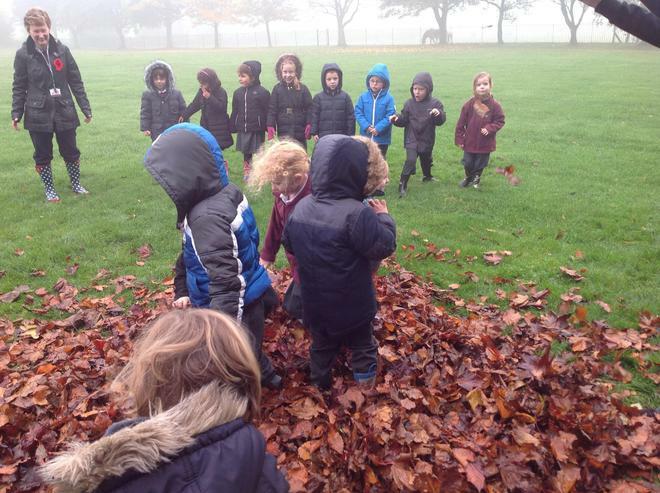 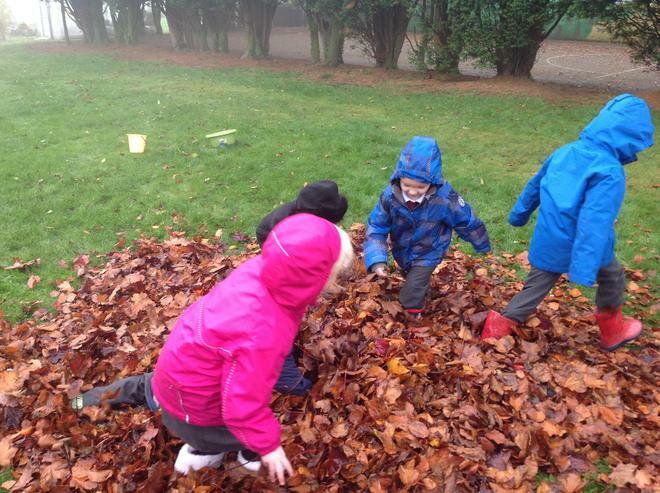 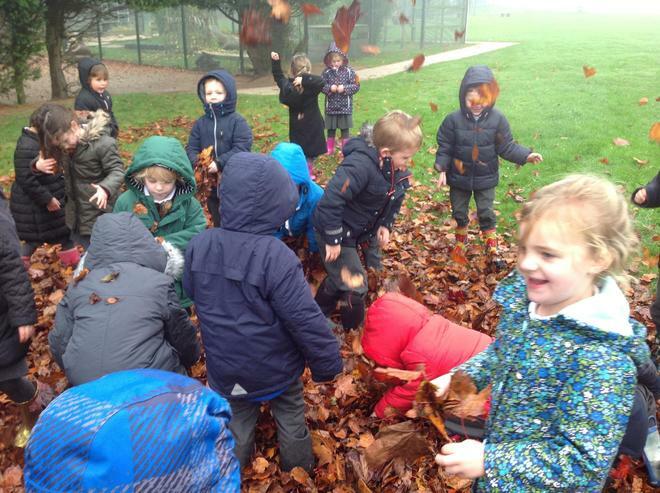 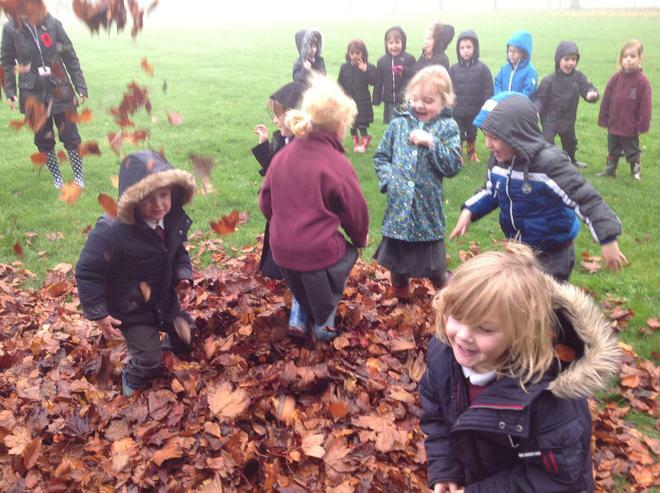 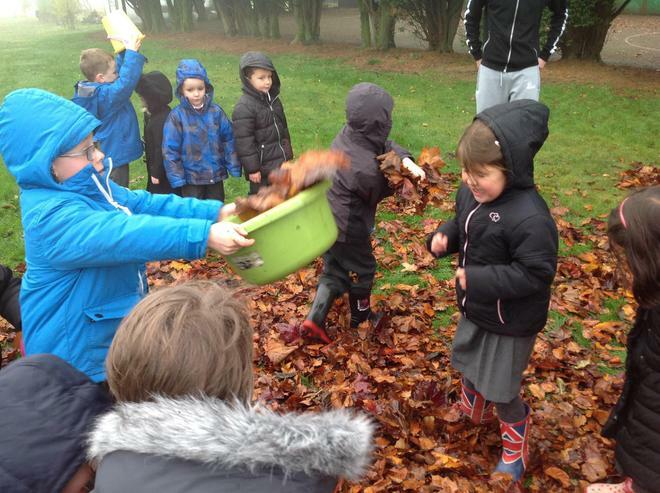 To commence our new topic we collected all the Autumn leaves we could find and created a giant leaf pile. 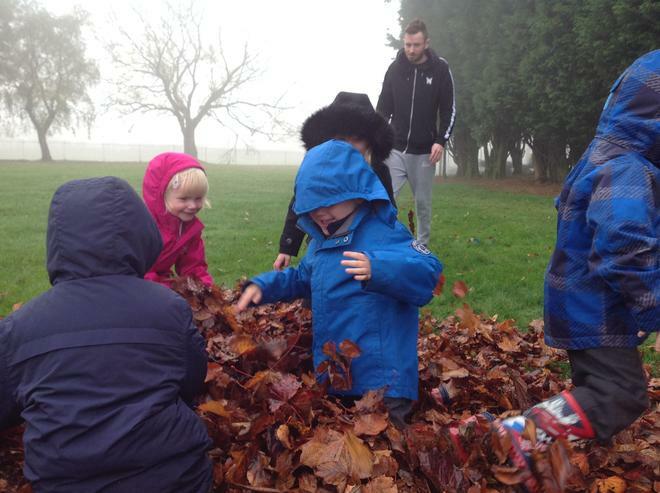 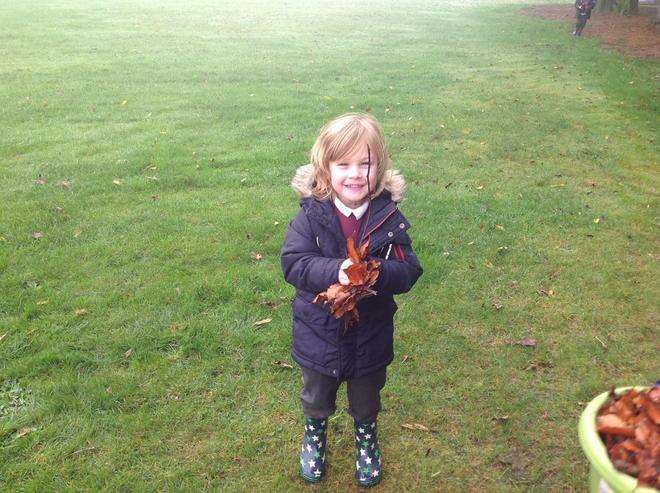 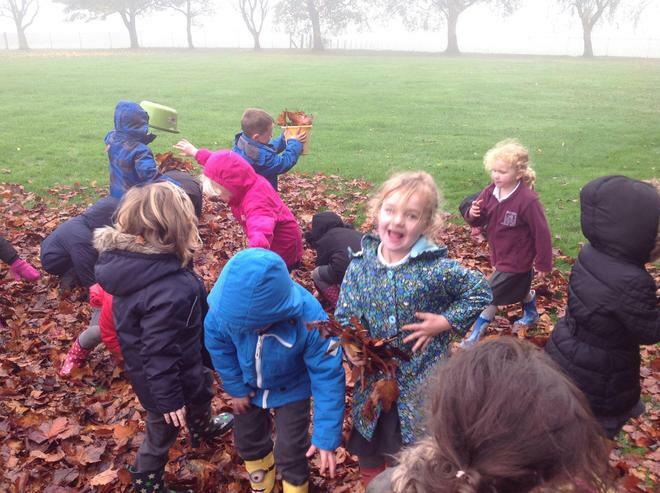 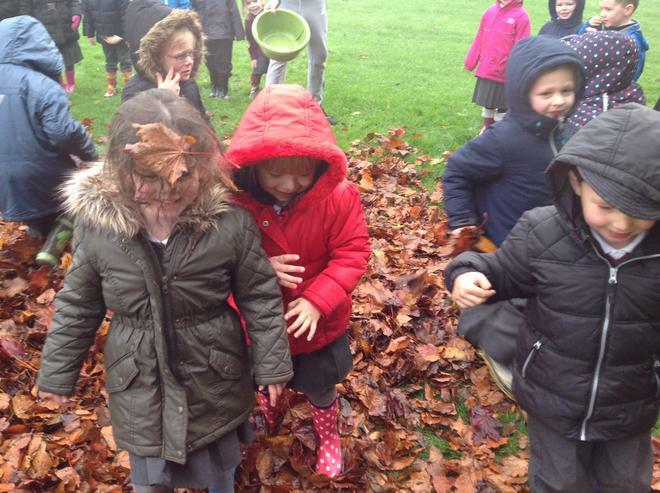 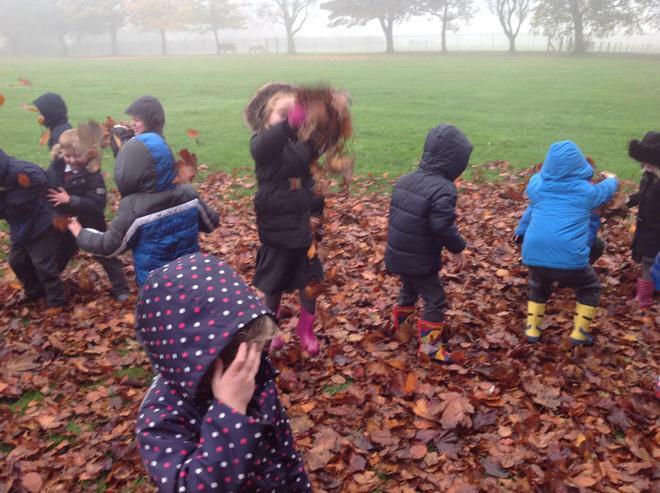 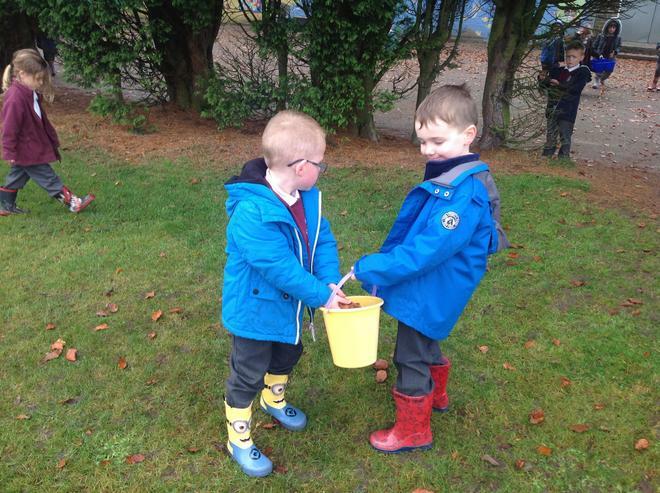 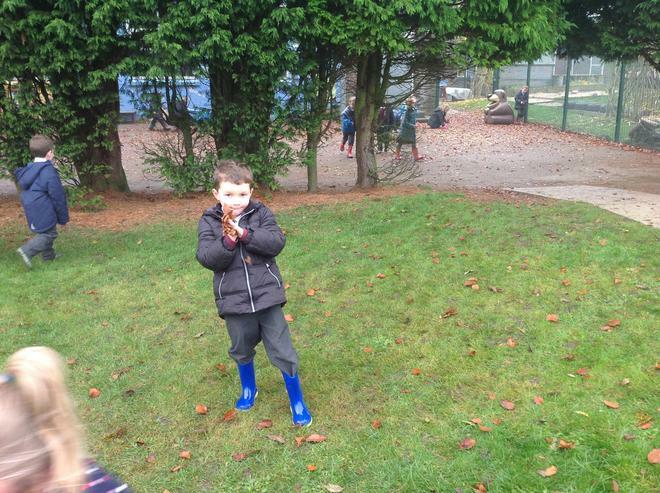 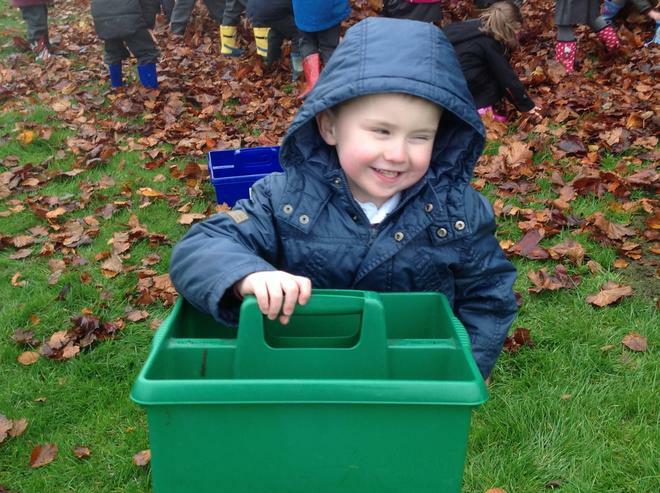 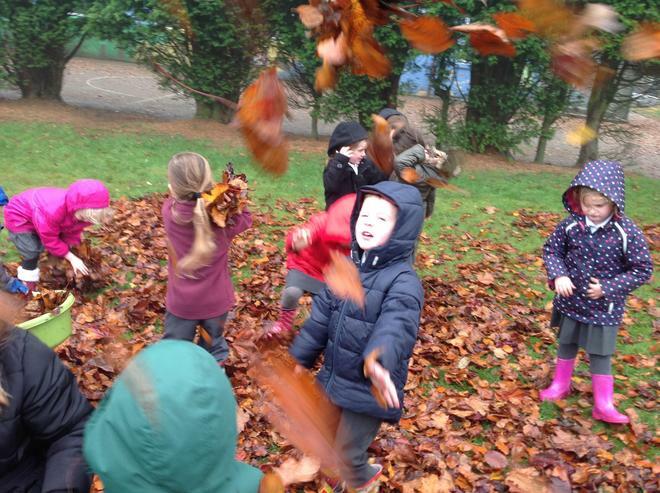 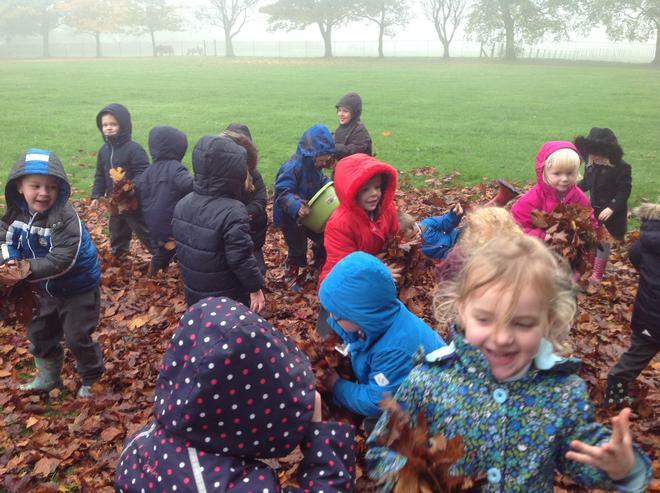 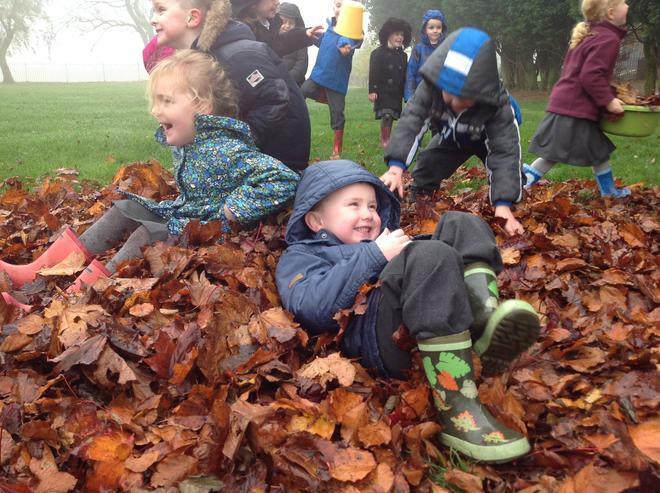 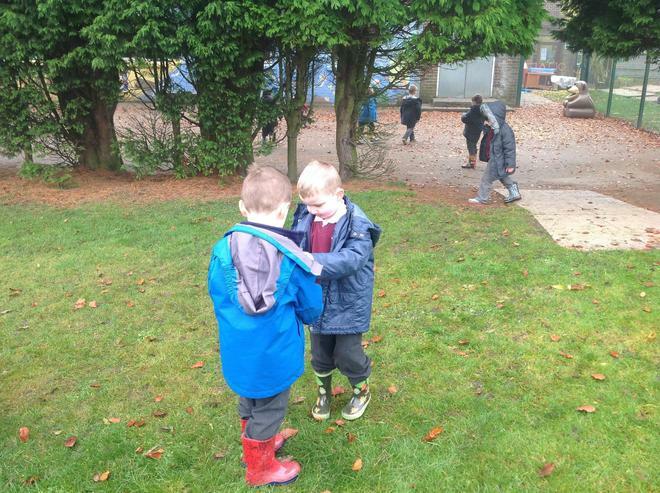 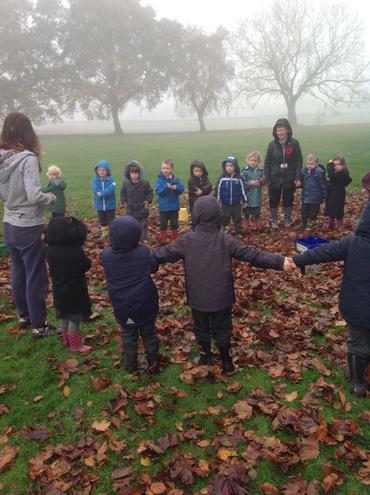 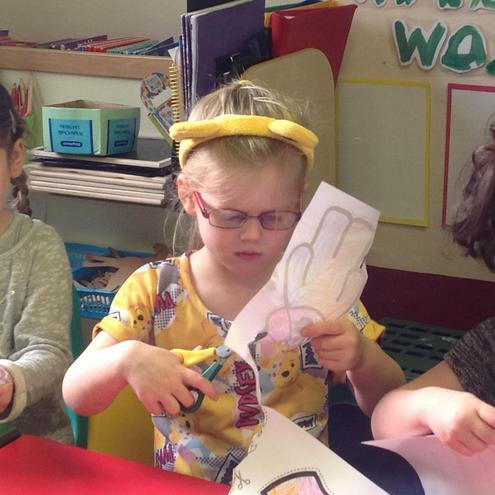 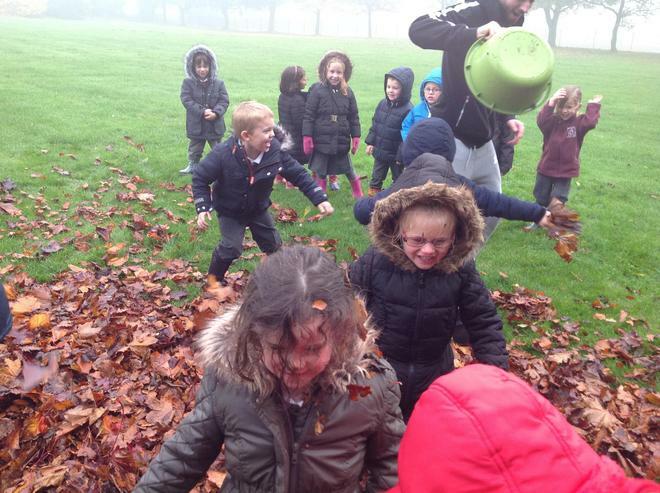 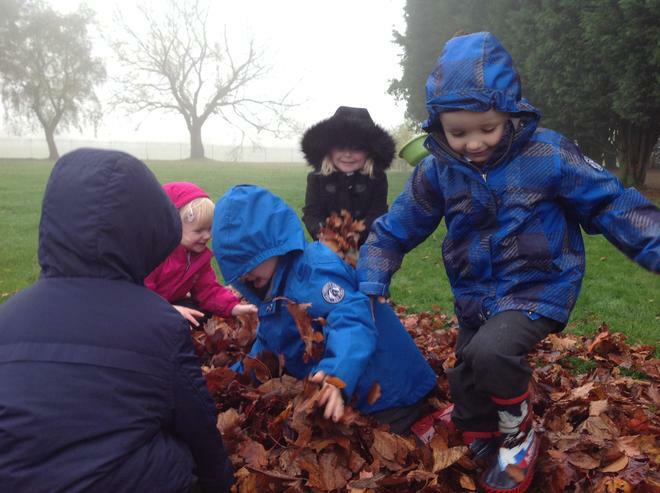 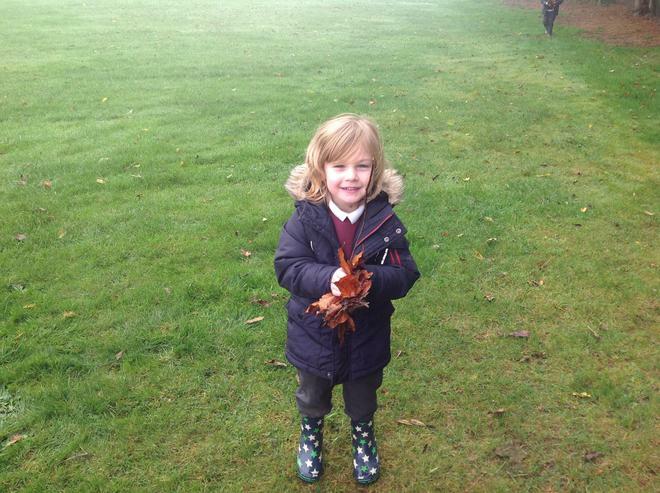 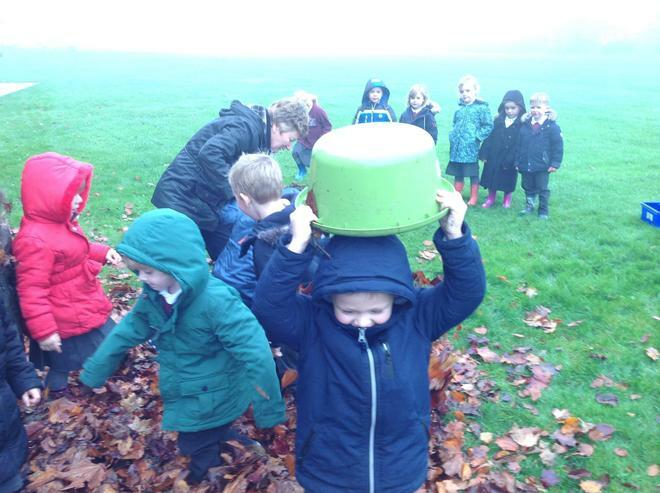 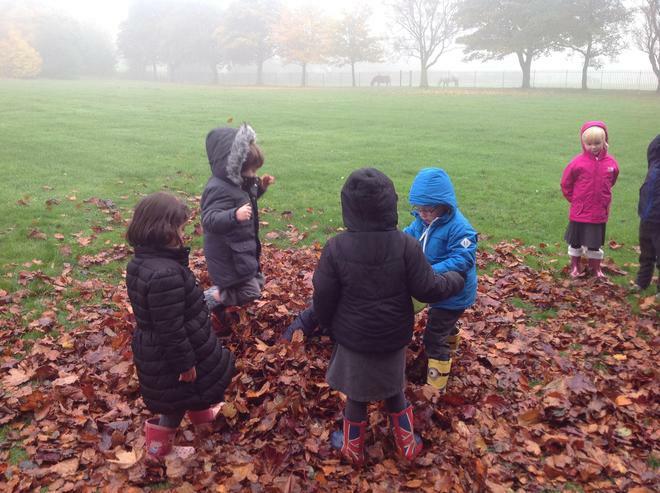 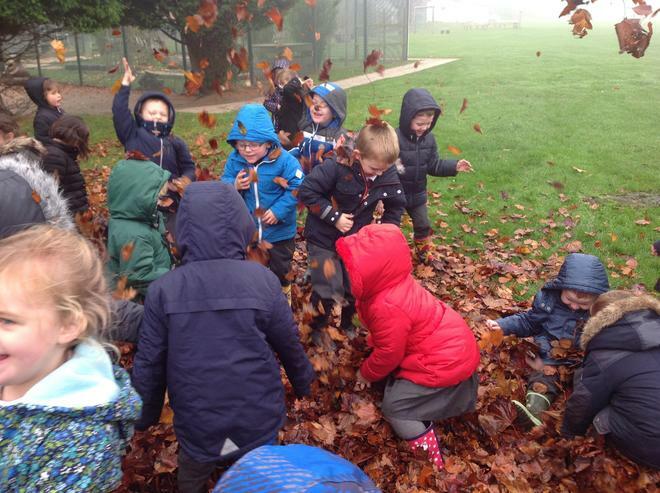 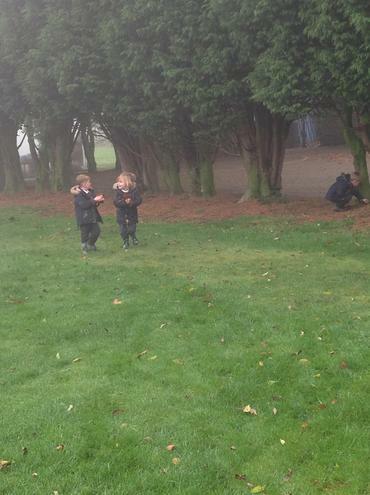 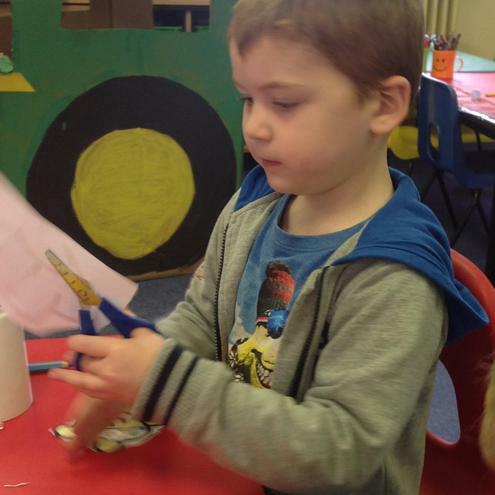 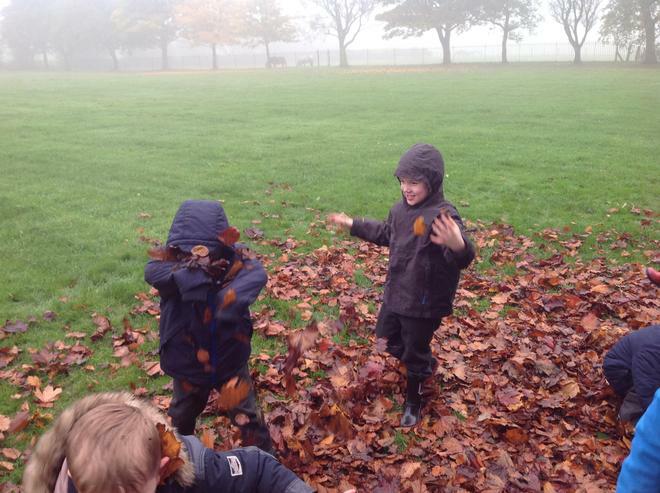 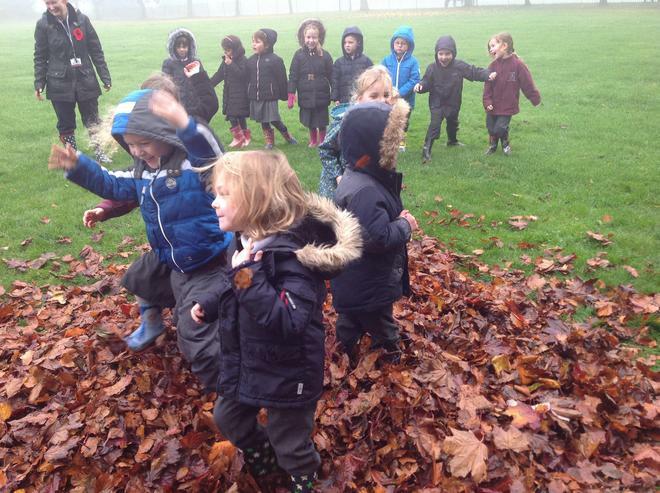 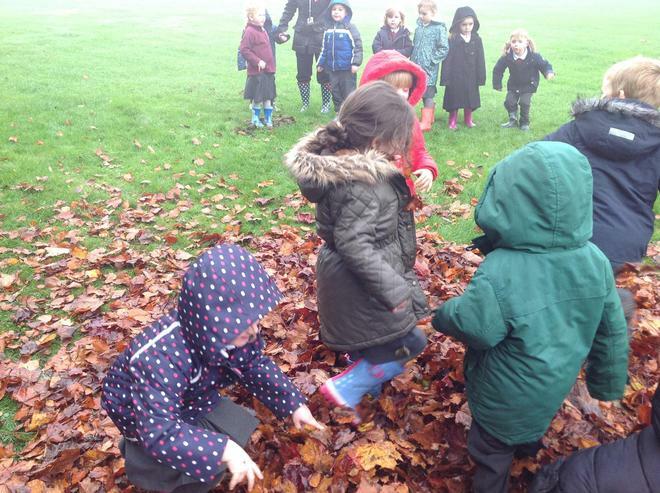 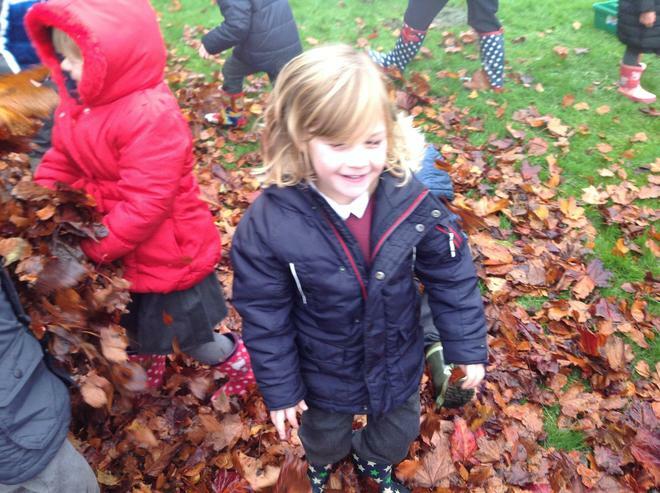 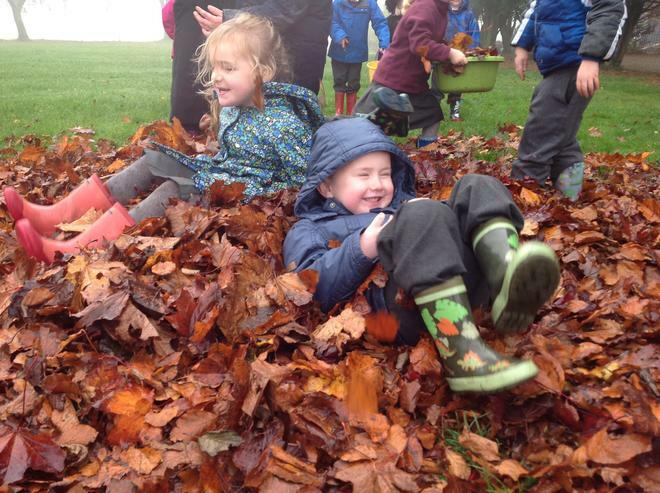 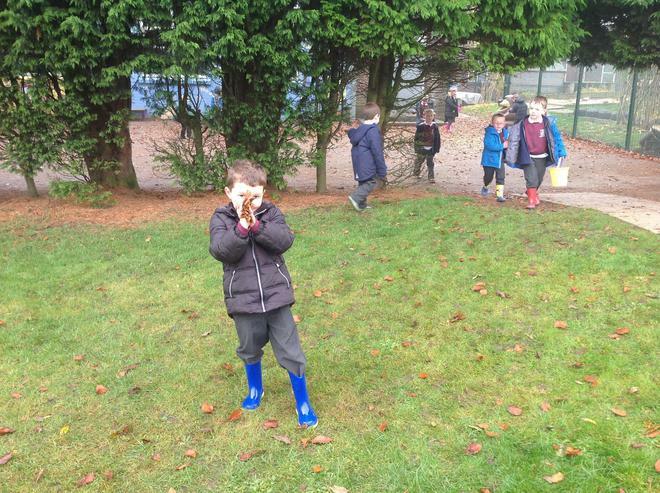 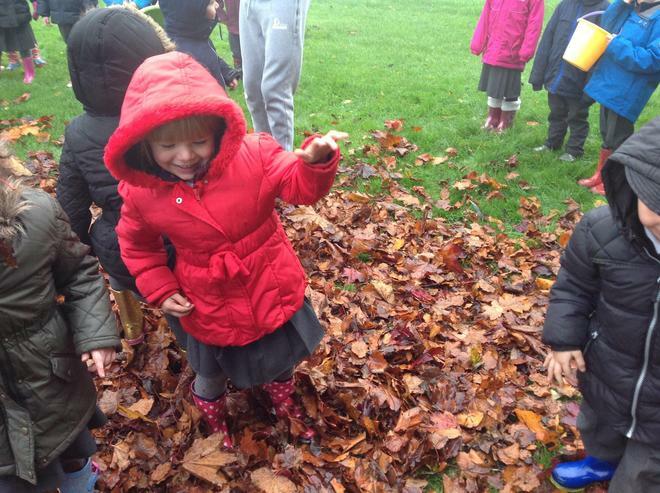 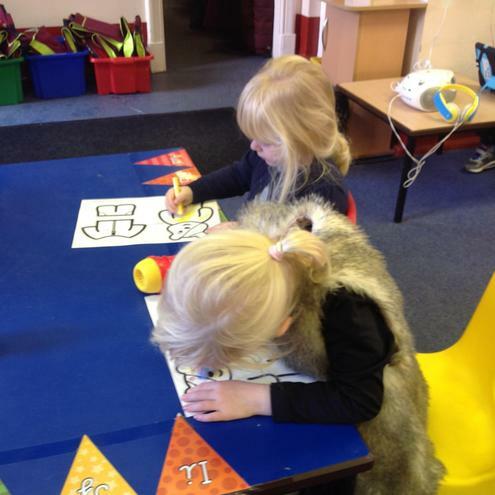 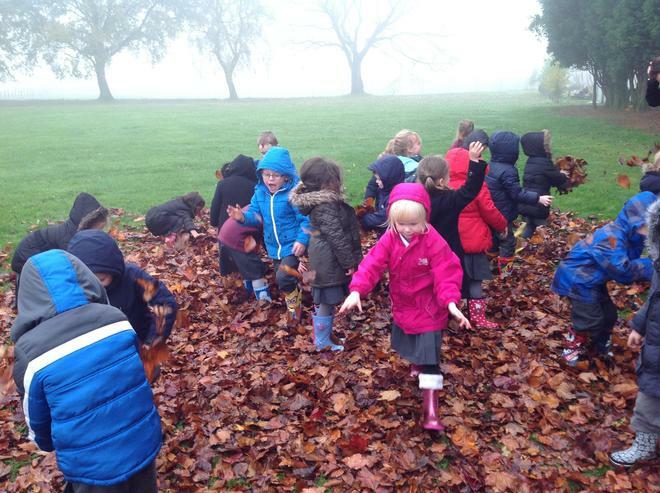 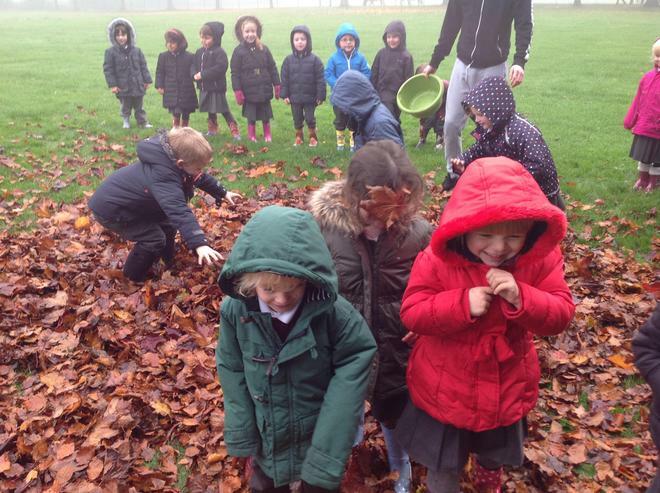 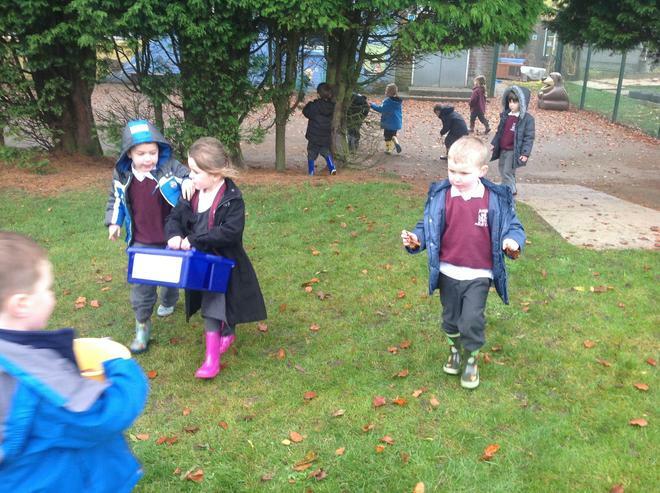 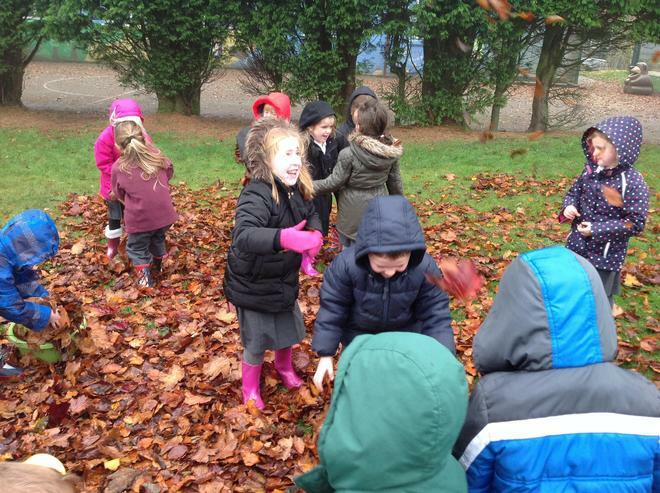 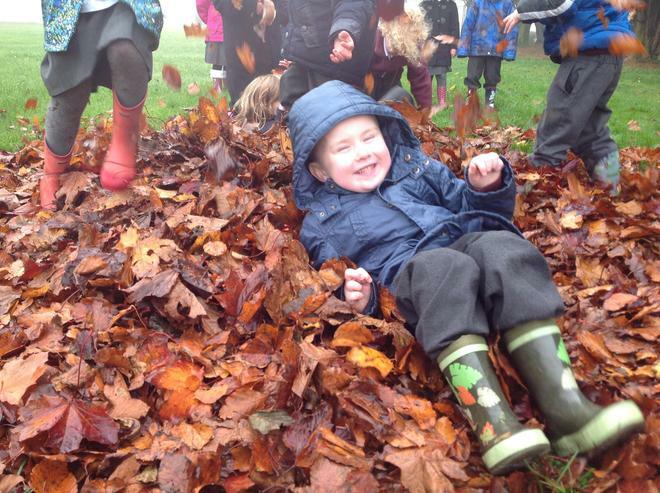 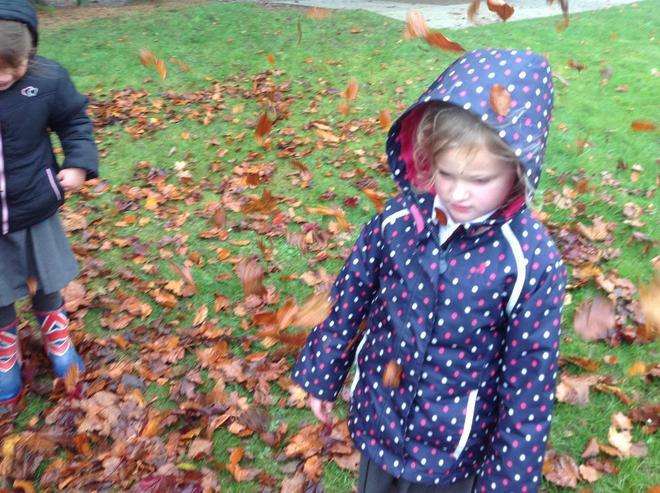 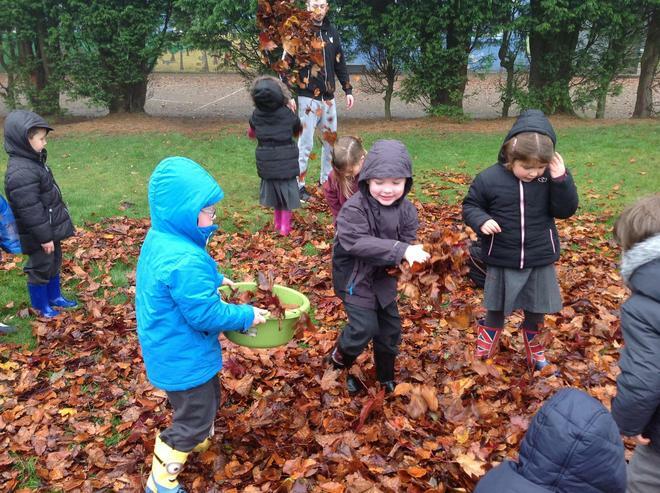 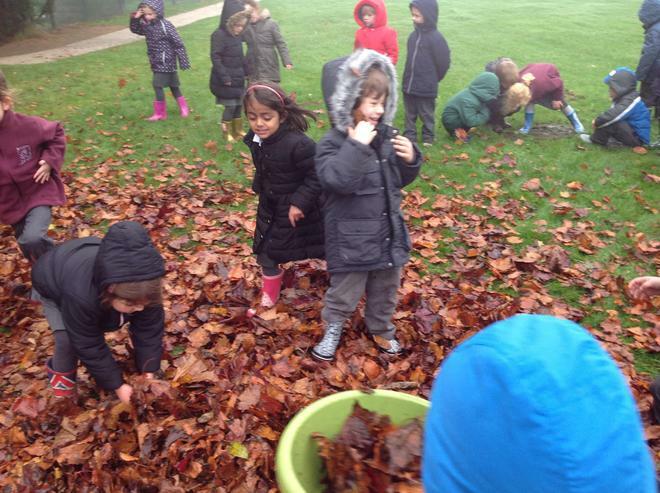 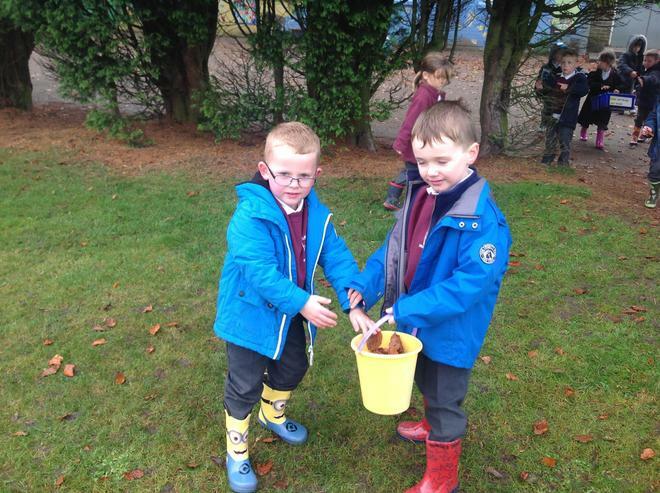 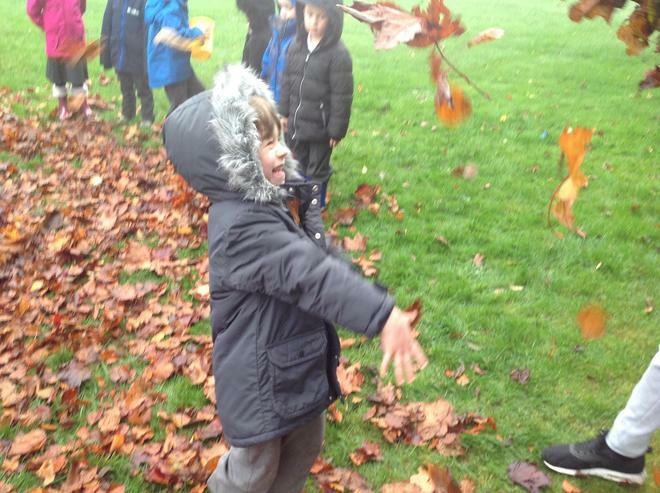 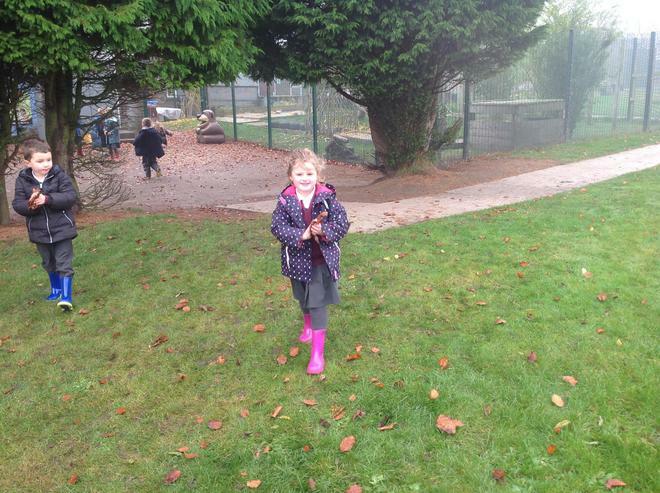 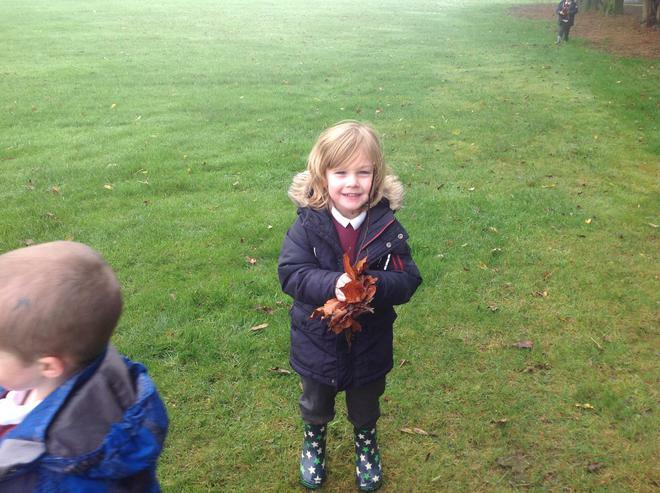 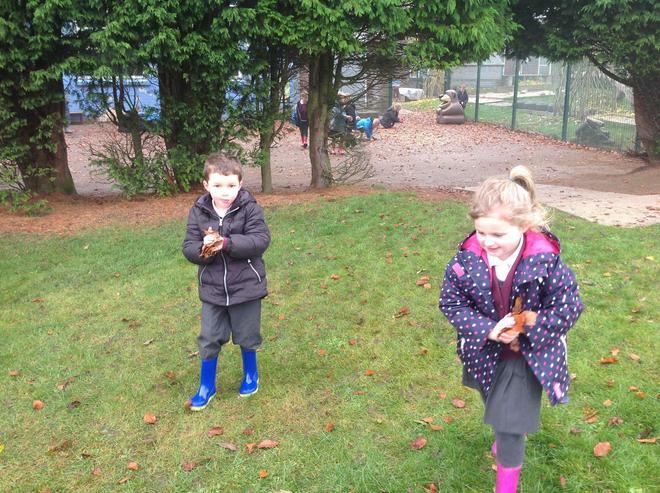 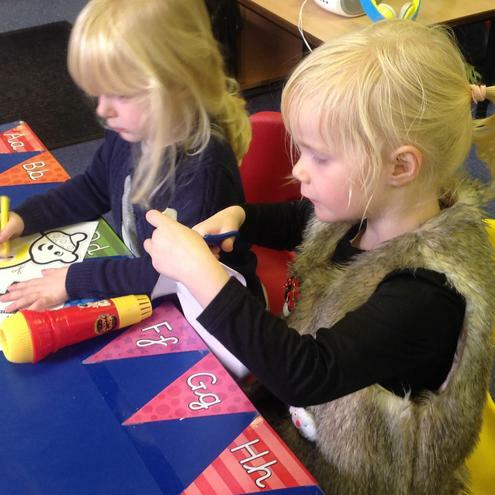 We had lots of fun exploring the Autumn leaves. 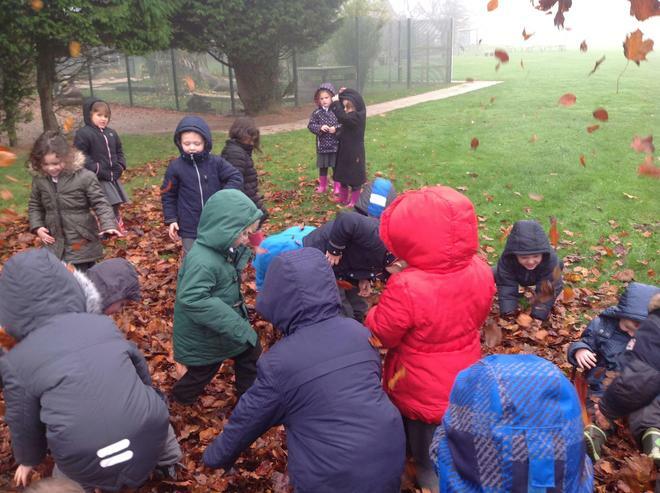 We learned about why the leaves fall from the trees and what happens to them on the ground.